Recently I was talking to a friend at the junior college where I teach in the Fall. In discussing the tightness of the schedule, she noted “Yes, Tuesdays and Thursdays are sandwich days for me.” I lamented to myself, because I thought, what the heck am I going to have, since I’m not eating meat right now?! I just couldn’t think of many meatless sandwich options. I was thinking two days a week, for a whole semester, that’s a lot of fried egg sandwiches. Actually I wound up eating a lot of potato, egg, and cheese soft tacos. I set out to put together a list of vegetarian sandwiches, to serve as a reference and inspiration. I made an outline of categories of sandwiches, like sweet sandwiches, sandwiches featuring cheese, sandwiches featuring eggplant, and so on. I combined my own brainstorming with a little web searching. So now that I’ve had a chance to think about sandwich options, I should be set for next Fall. Veggie burgers may be one of the first sandwiches that comes to mind when thinking 'vegetarian sandwich', but there are loads of other options once you put your thinking cap on. At the end I have included some basic tips and instructions, such how to make a balsamic reduction, and how to press tofu. 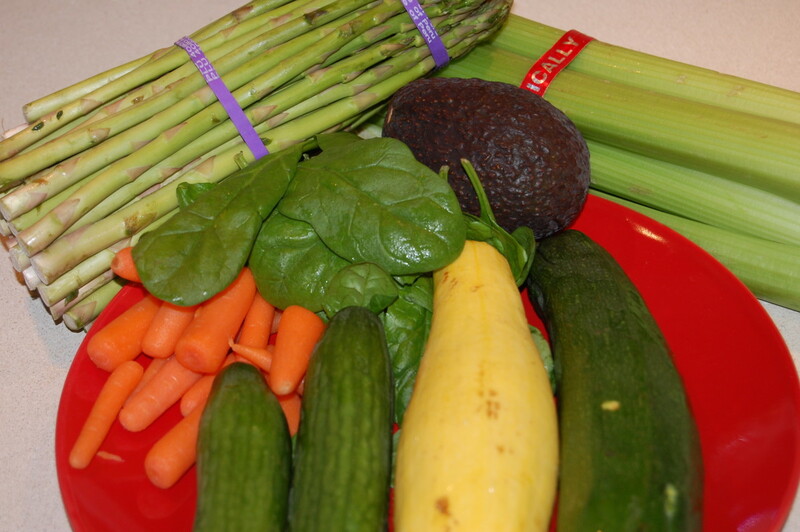 I have also included an “inspiration list” for you to personalize for your shopping list. 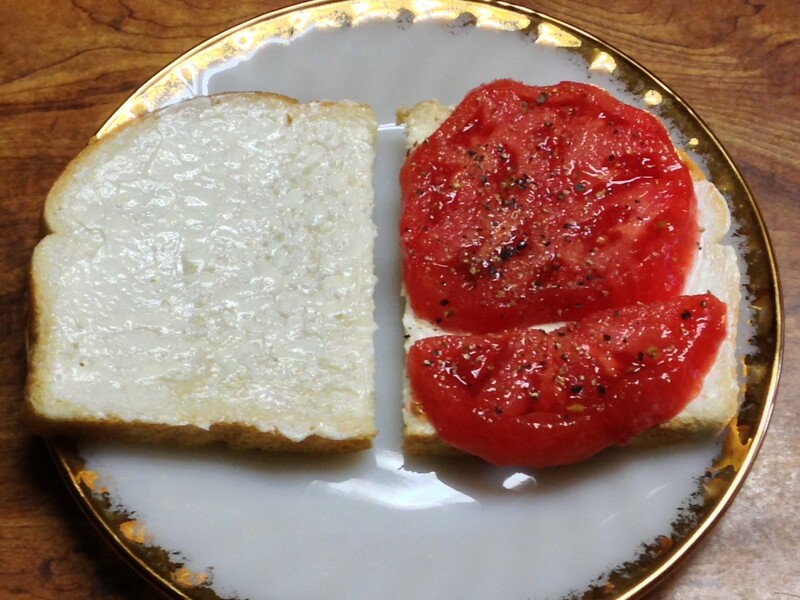 Tomato Sandwich: If you have large vine ripe garden-grown tomatoes, Dukes mayonnaise, salt, pepper, and white bread, there’s hardly a better sandwich to be had. I’d venture to say a tomato sandwich is probably in the top 5% of most popular sandwiches ever, vegetarian or otherwise. At least in the South! Classic Cucumber Sandwich: Grate 3 baby cucumbers and drain, pressing between several layers of paper towel. Combine with softened cream cheese, Lawry’s garlic powder with parsley, and chopped chives or green onions. Spread on soft white bread. Turkish Cucumber Sandwich: Split a small oblong bun. Top with slices of cucumber with peel, and a slice of mild goat or sheep milk cheese. Crazy Combo Sandwich: Spread mayo on one side of bread (such as round Oroweat Multigrain sandwich thins), and Dijon mustard on the other side. 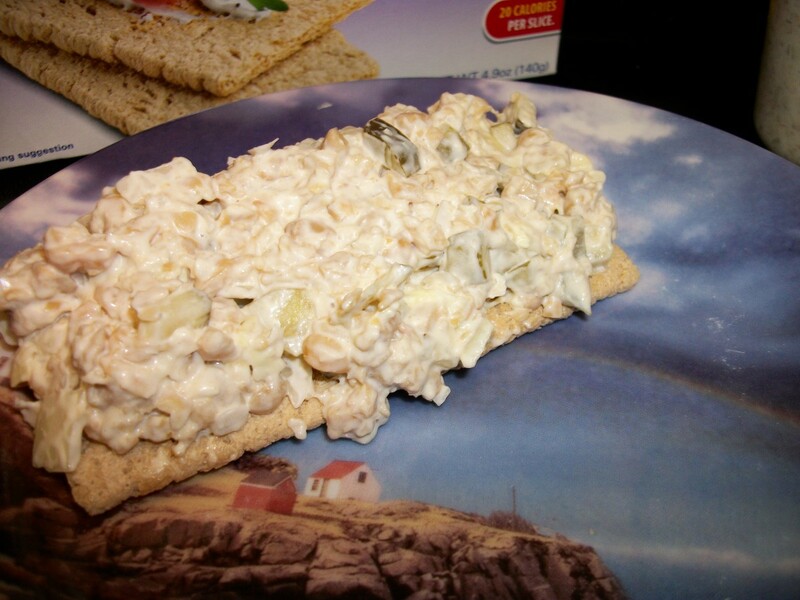 Place thin slices of Granny Smith apple on the mayo side. Top with a slice of cheddar cheese. Top mustard side with a slice of sweet onion and slices of kosher pickle. Slaw Pocket: Moisten finely shredded cabbage with a little mayo and apple cider vinegar. 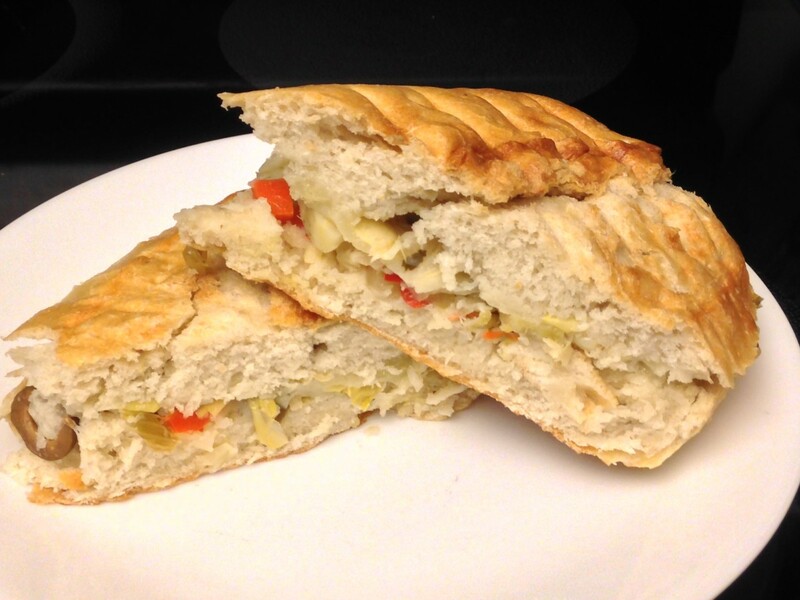 Pack into pita pocket with thin slices of sweet onion, and sweet apple, such as red or golden delicious. Throw in a few golden raisins. 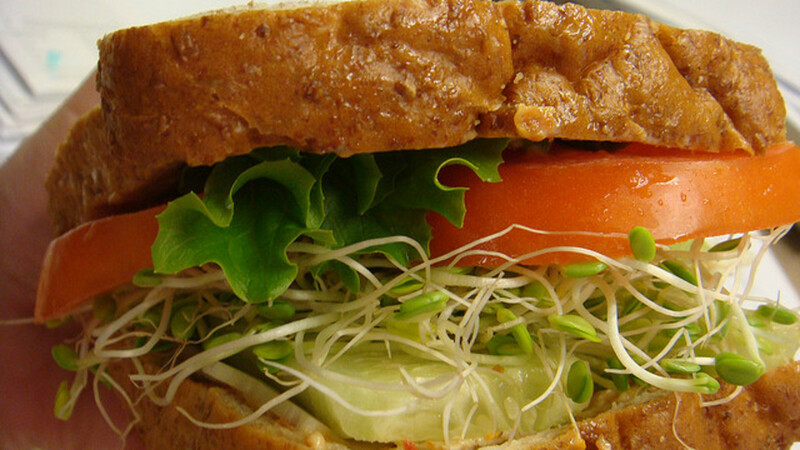 Catalina Veggie Baguette: Lettuce, tomato, cucumber, alfalfa sprouts, and Catalina dressing. 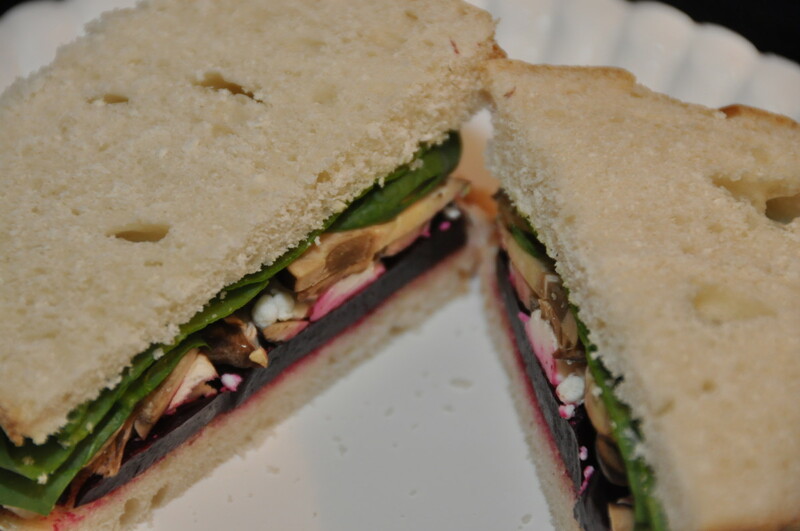 Green Club Sandwich: I found this one in the Weight Watchers Make & Take Meals cookbook. Make a mixture of mashed avocado and chopped and mashed artichokes. Spread mixture on 2 slices of extra thin bread. Spread 3rd slice of bread with hummus. 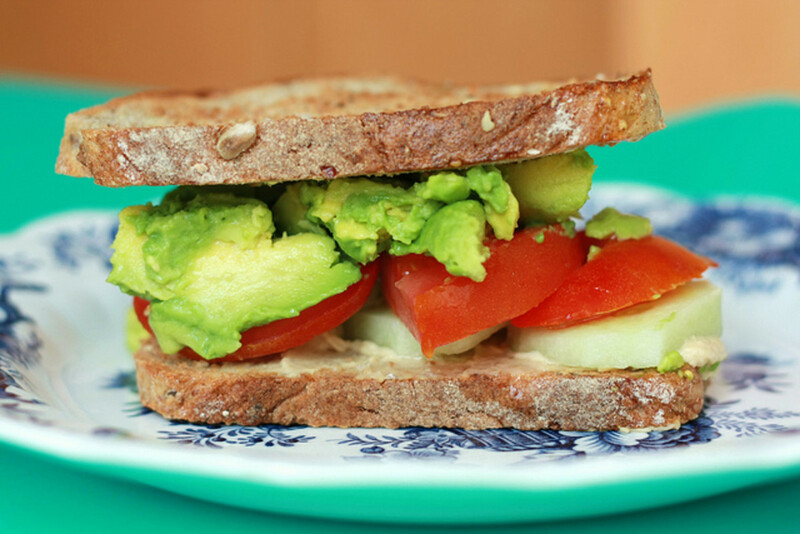 Place thin slices of Granny Smith apple on 1 slice of bread with avocado mixture. Top with hummus bread. 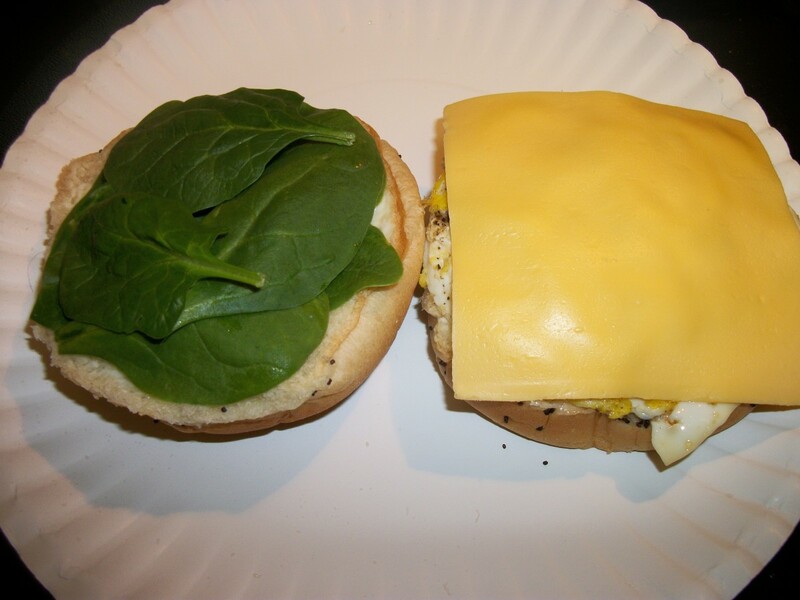 Place spinach leaves on top of 2nd piece of bread. Top with remaining avocado mixture bread. Pita with Greens: Avocado slices, arugula leaves, Texas Sweet or Vidalia onion slices, sliced tomato in a pita pocket. Spinach Sandwich: Baby spinach leaves, sun dried tomato sliced into thin ribbons, feta cheese, thinly sliced white mushrooms on a light soft bun. Classic Watercress Sandwich: There are several versions, but the classic is to make a spread by combining watercress with butter, and a tad of lemon juice, black pepper, and cayenne. 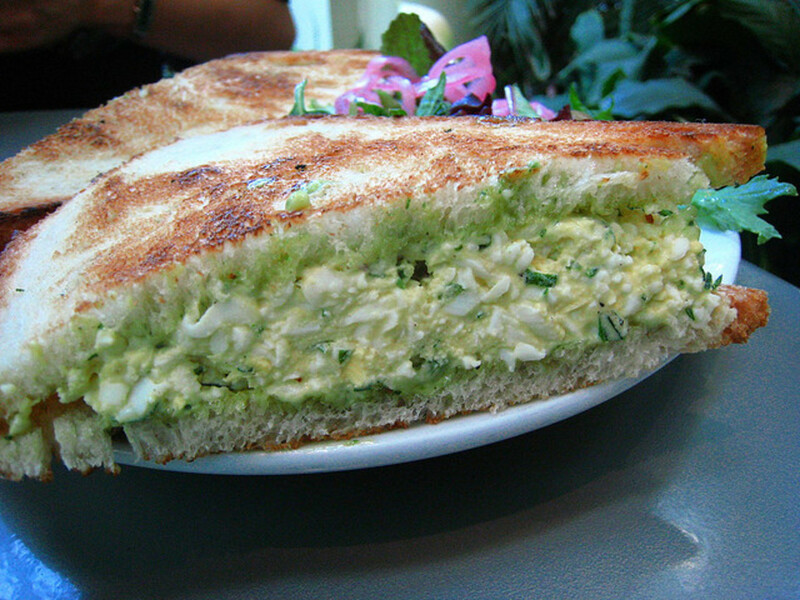 Other versions are made with cream cheese and cucumbers, or with egg salad. Classic serving is on crustless white bread, cut into fingers, about 3 from each sandwich. 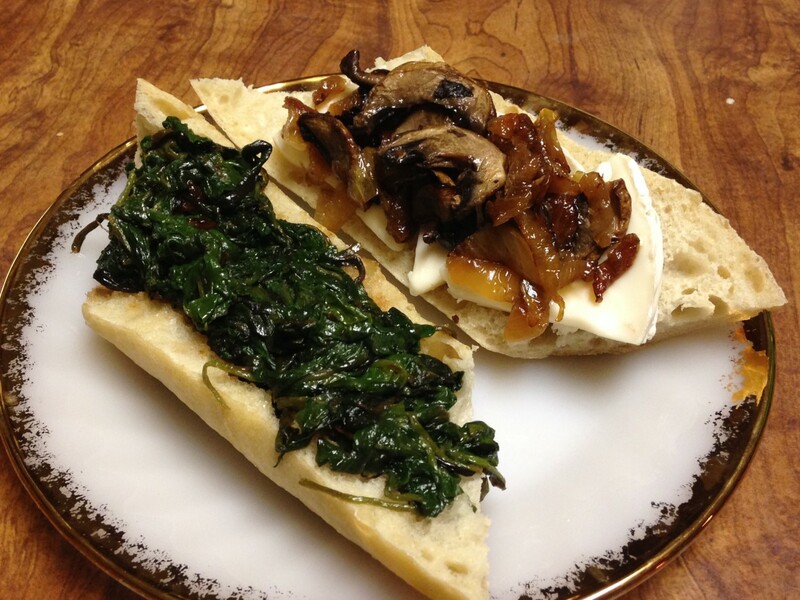 Sautéed Greens Sandwich: Sauté greens, such as spinach, mustard, collard, or chard to sweat/wilt. Place on crusty bun. 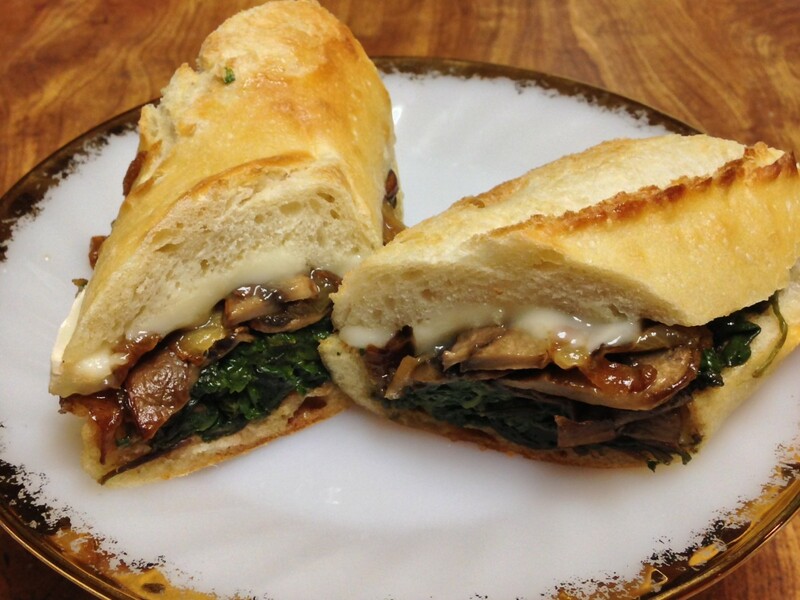 Top with caramelized onions, and mushroom slices that have been simmered in burgundy wine. I used a mix of baby greens from Costco- chard, kale, and spinach. My mushrooms were sautéed baby bella mushrooms. I definitely recommend the caramelized onions. I also topped my sandwich with brie, building it on baguette. Sandwiches made with potatoes, beets, carrots, parsnips and such. 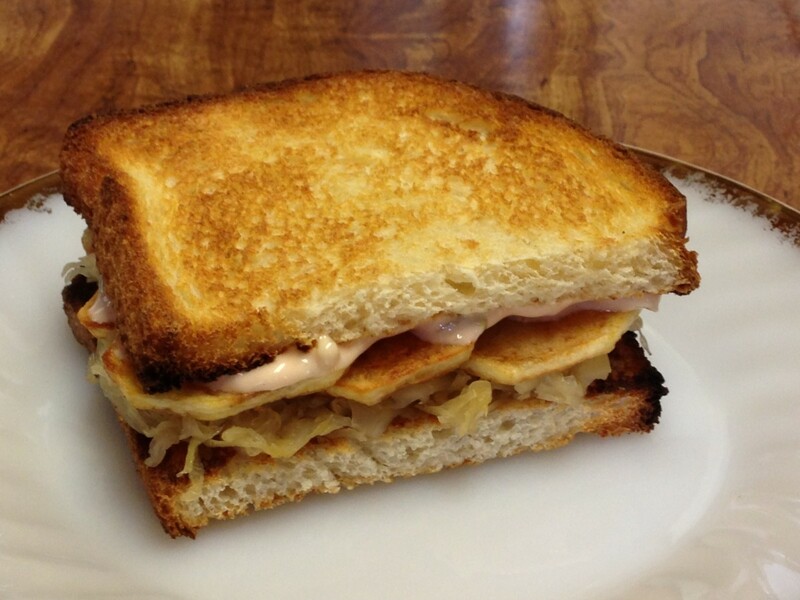 Veggie Ruben: Sauerkraut, drained crushed pineapple, fried potato rounds, Thousand Island dressing, on rye bread. 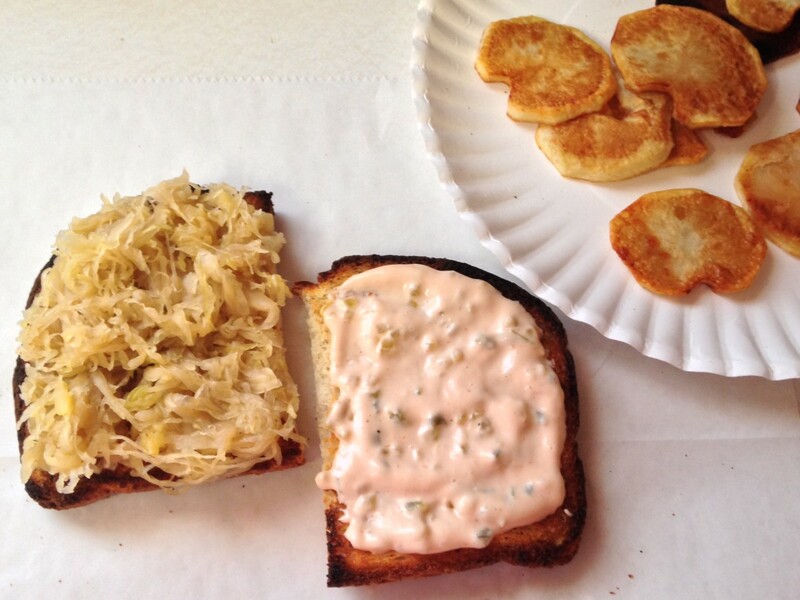 I made my sandwich from leftover sauerkraut, which had a small can of crushed pineapple added to it. I made a little Thousand Island dressing from about 2 tablespoons mayo, 1 teaspoon of ketchup, 2 teaspoons sweet pickle relish, and ½ teaspoon of Worcestershire sauce. I don’t particularly care for rye bread, so I used sourdough. I toasted both sides before constructing my sandwich. I think this helped keep the sauerkraut side from getting soggy. Roasted Root Vegetable Sandwich: Select root vegetables such as sweet potatoes, russet potatoes, carrots, parsnips, and turnips. Cut about ¼” to ½“ thick. Slice carrots and parsnips lengthwise in 4”-5” lengths. 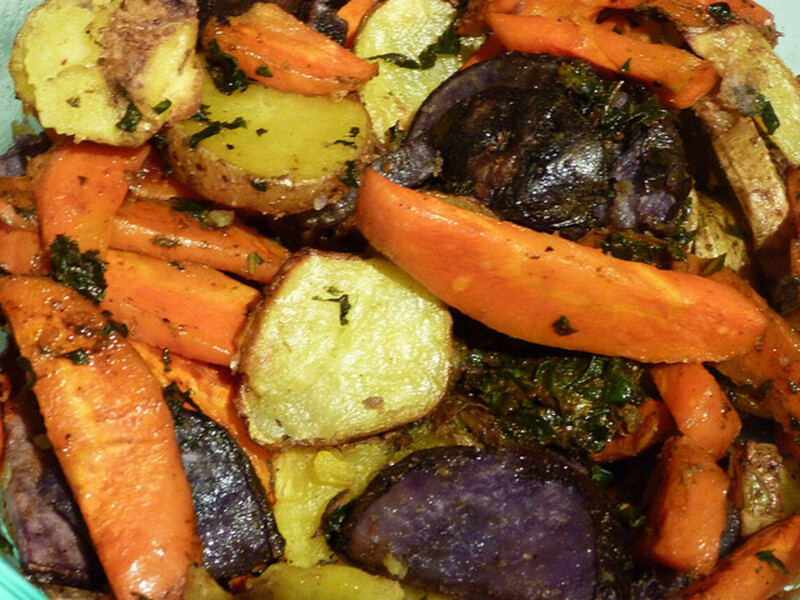 Roast vegetables with garlic and spices until done, but still firm enough to hold together. Arrange on hoagie roll and drizzle with vinaigrette. Roasted Beet Sandwich: Roasted sliced beets, feta cheese, alfalfa sprouts, and romaine leaves on crusty round bun. 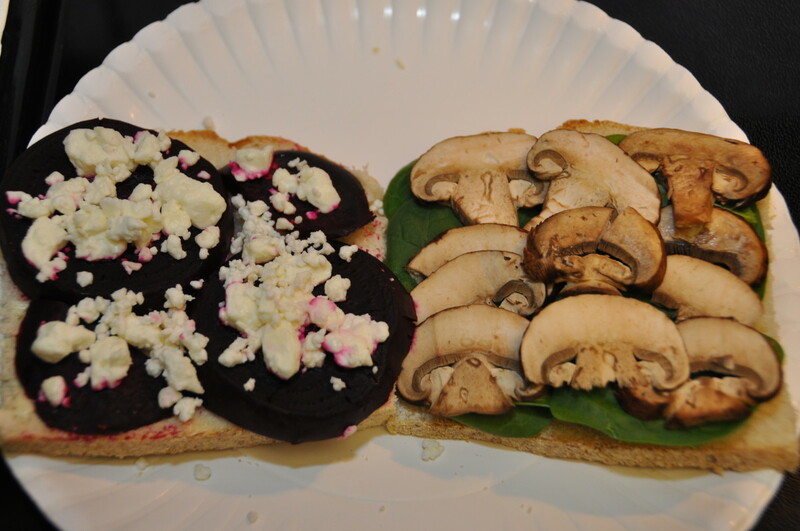 I made my beet sandwich with sliced beets, feta, baby bella mushrooms, and baby spinach, on sourdough bread. Ratatouille Wrap: Sauté diced eggplant in olive oil about 5 minutes. Add diced zucchini, onions, red pepper, and seasonings and sauté another 6 minutes. Add diced tomatoes and simmer covered 5 minutes. Serve in large wraps with goat cheese. Grilled Vegetable Muffuletta (from Rachael Ray): You will need an 8- to 9-inch round loaf of crusty bread, pesto, provolone cheese, giardiniera (pickled vegetables), green olives, and grilled eggplant, zucchini, red bell pepper, portabella, and red onion. Cut off the top, and hollow out the center. Spread pesto on the bottom, add a layer of grilled vegetables, then another layer of pesto. Add remaining grilled vegetables, and provolone cheese. 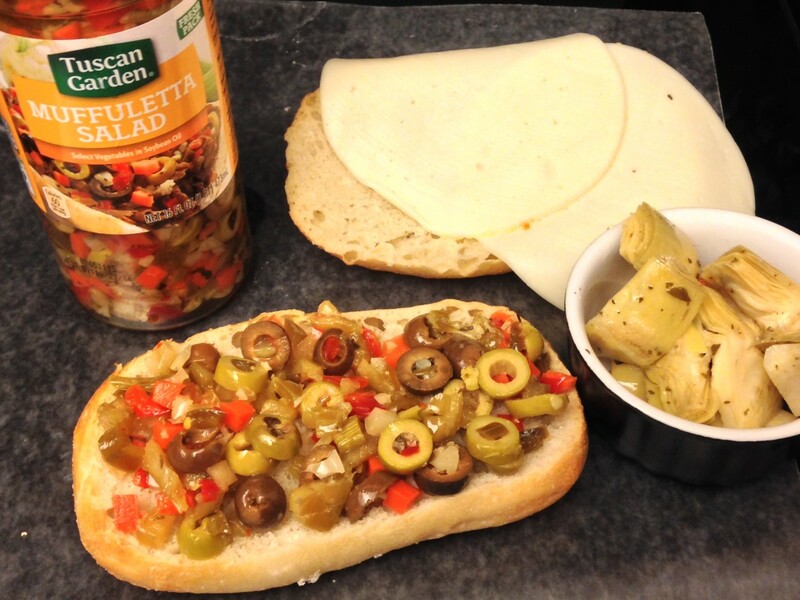 Pulse olives and giardiniera into a relish in food processor and spread on top bread. Place top, and cut into wedges. Mediterranean Eggplant Sandwich: Spread hummus on half of a flatbread, and olive tapenade on the other half. 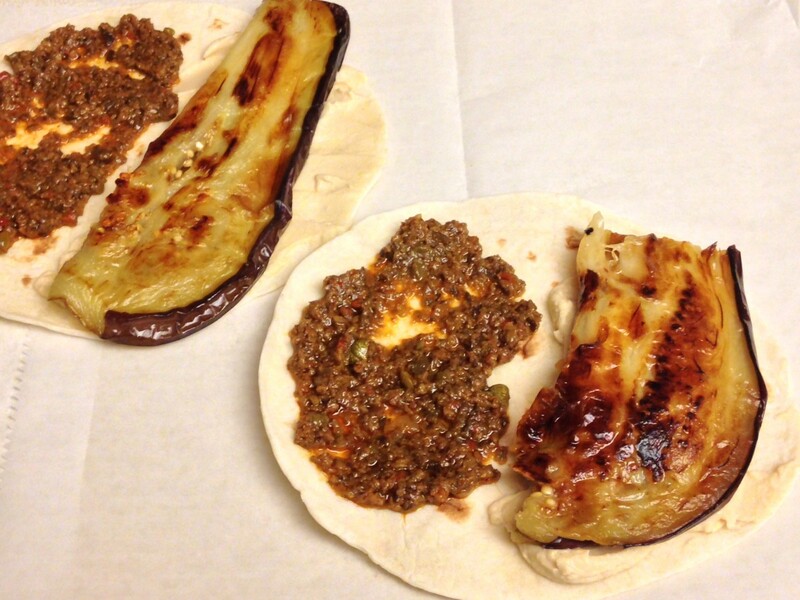 Place grilled eggplant slices and fold over. 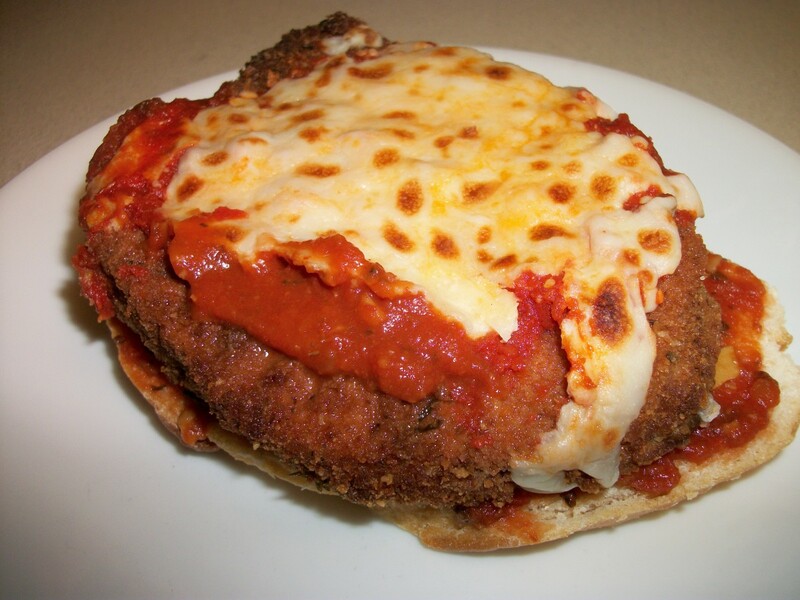 Eggplant Parmesan Sandwich: Prepare bread as for garlic bread on hoagie rolls or French bread. Slice eggplant diagonally and grill or bake until it starts to become tender. Dampen eggplant with water or olive oil. Coat with panko crumbs and fry until coating is golden and crispy. Drain and transfer to bread. Top with your favorite spaghetti sauce, and mozzarella cheese. 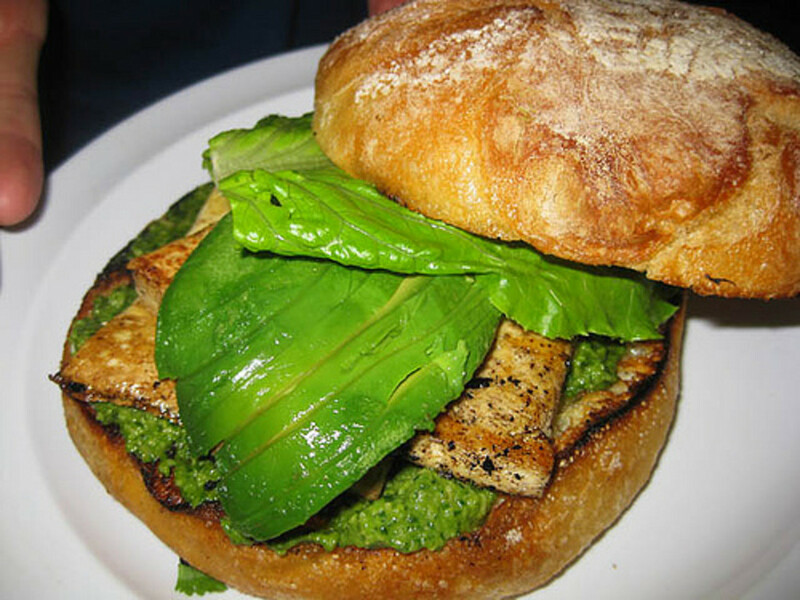 My Favorite Portabella Burger: My favorite veggie burger is definitely the portabella burger. Scrape gills from large portabella mushroom cap, and grill about 5-7 minutes on each side. Top portabella with garlic and herb, pepper Jack, or other favorite cheese. Spread Hawaiian Roll with mashed avocado. Top with mushroom and caramelized onions. Double Portabella Melt: Scrape gills from large portabella caps. Cut caps crosswise to make two pieces to each cap. Grill mushroom pieces. Top each with cheese, and stack in twos. Drizzle with balsamic reduction. Serve on crusty buns. Meatless Meatball Hero: I made these mushroom-based meatballs from Chef John’s Meatless Meatballs recipe on AllRecipes.com. They were fairly labor-intensive, but they were pretty darned good. The chief ingredient was white button mushrooms, with bread crumbs, Parmesan cheese, quick oats, parsley, onions and garlic. 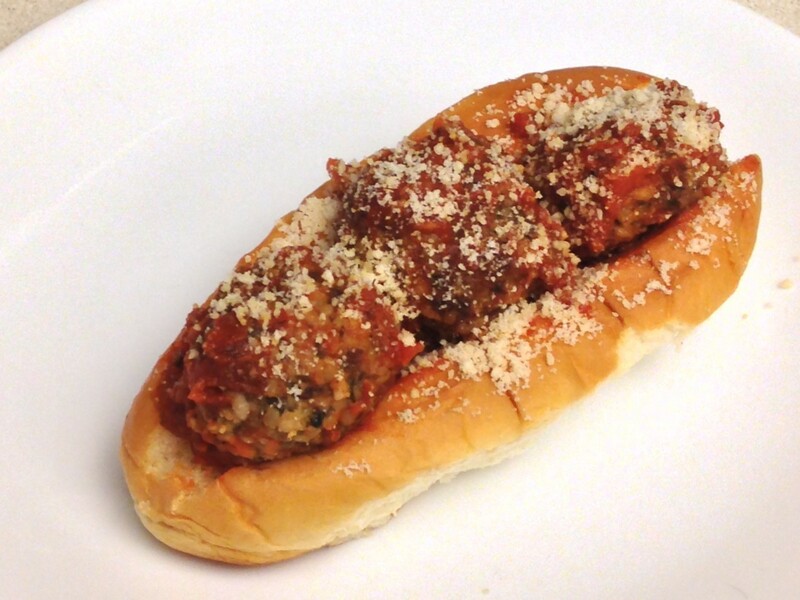 I made the meatballs by the recipe, then put them on a Hawaiian roll with some Prego spaghetti sauce and cheese. 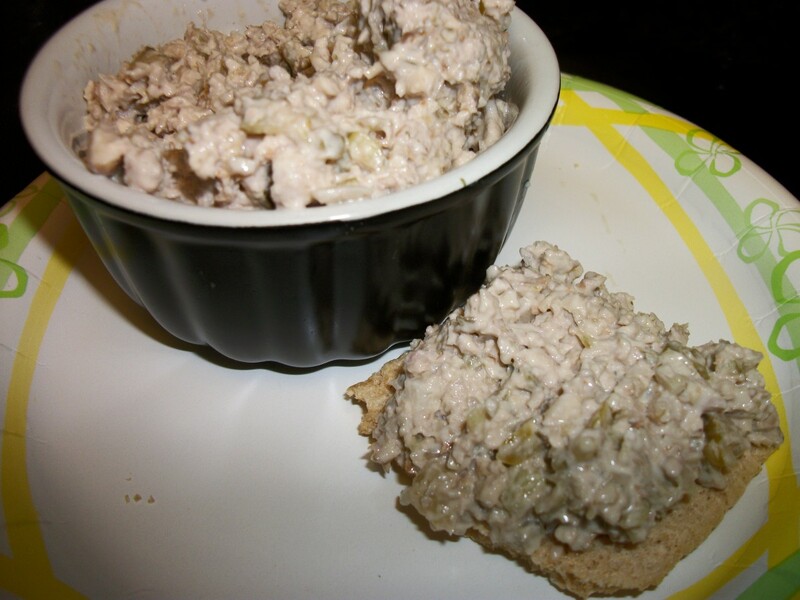 If you are a meat eater, or former meat eater, the secret to great mock tuna salad is to do it up like you would do tuna salad. If you typically use onions and celery, than that’s what you should use. If you never use carrots in your tuna salad, then don’t. I have two examples that I got from YouTube, when writing my Mock Tuna hub. This is how I modified them for my taste. Chickpea Mock Tuna: Process chickpeas in food processor. Add finely diced dill pickle, mashed boiled egg, diced sweet onion, finely diced cucumber, and mayo. Serve on pumpernickel. Walnut Paté: Soak walnuts 8 to 12 hours, rinsing at least once. Process walnuts in food processor. Add fine chopped celery, purple onion, sweet pickle relish, mayo, and a touch of cumin. I like this one on Wasa Crisp ‘n Light 7 Grain Crackerbread. Fried Egg Sandwich: Fried egg, thinly slice cheddar cheese, sliced tomato, and mayo on Oroweat round Sandwich Thins. 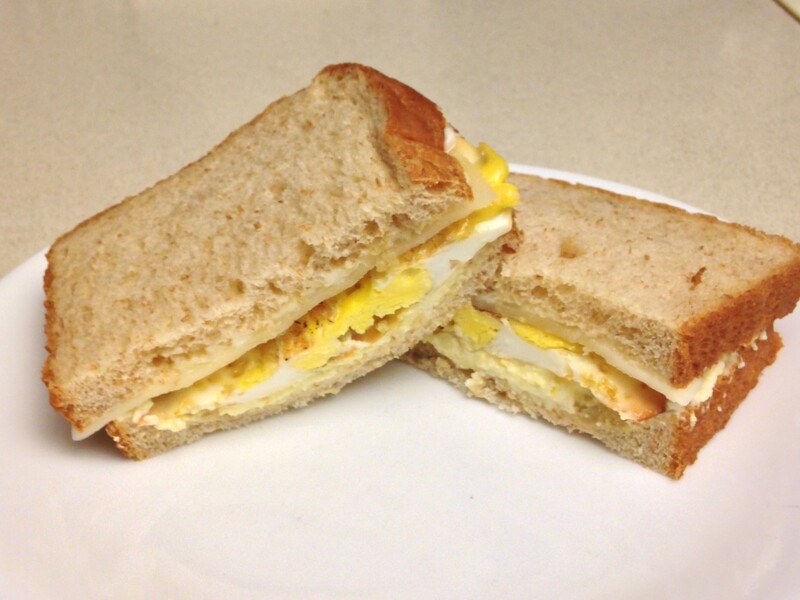 Double Egg Sandwich: Crazy about eggs? Top your egg salad with a fried egg. I finely chopped my boiled egg whites in the food processer, and transferred to a mixing bowl, then processed the yolks. I combined my eggs with mayo in the bowl. I spread the egg mixture on wheat bread, and topped it with a fried egg and a slice of provolone. 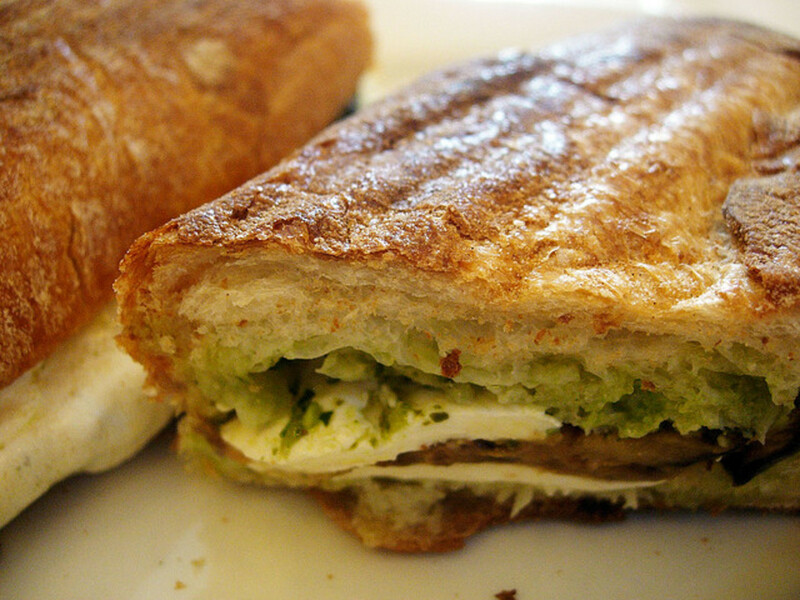 Caprese Sandwich: Smear crusty French bread with basil pesto. Top with fresh Mozzarella rounds and tomato slices. Drizzle with balsamic reduction. I made a Mexican-inspired version of this with Queso Fresco cheese and cilantro-based pesto. 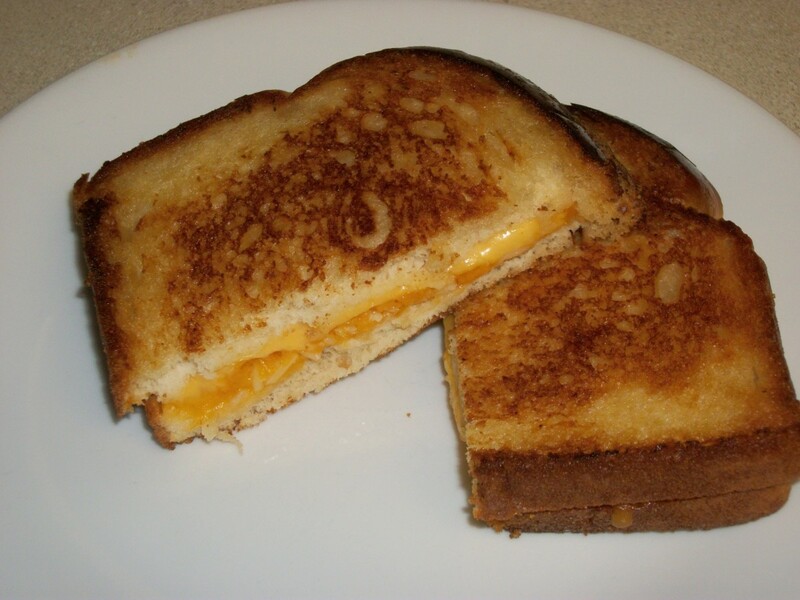 Grilled Cheese Sandwich: Another vegetarian sandwich that is wildly popular among meat eaters. You can go with tradition, and make a sandwich with American or Cheddar cheese on white bread, fried in butter. But you could make a sandwich with any favorite cheese, and your favorite bread but treat yourself, still fry it in the butter! Another great option that I enjoy is frying it in coconut oil. Cold Cheese Sandwich: Make a sandwich with slices or smears of 3 different cheeses, such as Colby, jalapeno jack, asiago, brie, cream cheese, mozzarella, Gouda, Swiss, farmer cheese, provolone, Muenster, or port wine cheese. Choose several cheeses and enjoy on a crusty bun. You could try a balsamic reduction, tapenade, pesto, or whole grain mustard on your sandwich. 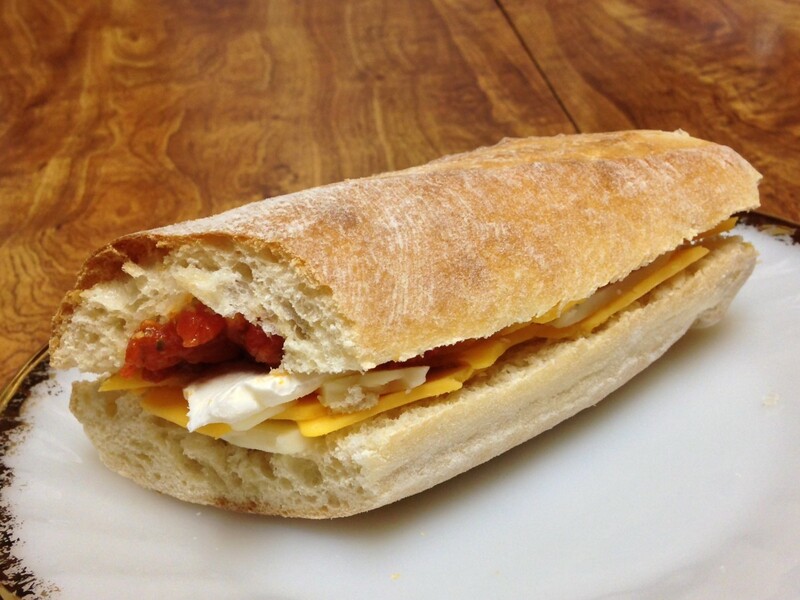 I made my sandwich with thin slices of sharp cheddar and Jalapeno Jack on a slightly scooped out baguette. On the other side I put some Abruzzi tomatoes, and some cream cheese. This was a surprisingly good sandwich. Unfortunately, I don't know if i can recreate it when my jar of Abruzzi tomatoes is empty. I bought the tomatoes at the Pastaria 811 restaurant at Pawley's Island, SC. So far, I have not found them online. 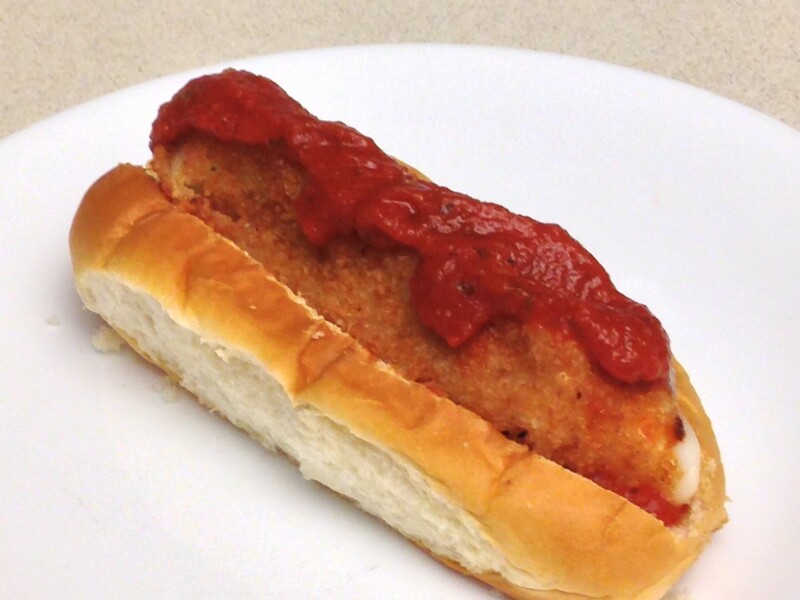 Mock Meatball Hero: Place fried mozzarella sticks or cheese balls in a hoagie roll or soft Sara Lee sub roll, and top with your favorite spaghetti or pizza sauce. Toasted Pimento Cheese: Generously smear your favorite deli pimento cheese on a split crusty roll, and place under the broiler until bubbly. A friend recently made my absolute favorite pimento cheese I have ever tasted. She used 8 oz of shredded cheddar, 8 oz of shredded mozzarella, a couple oz of queso fresco crumbles, diced roasted red peppers, and mayo. 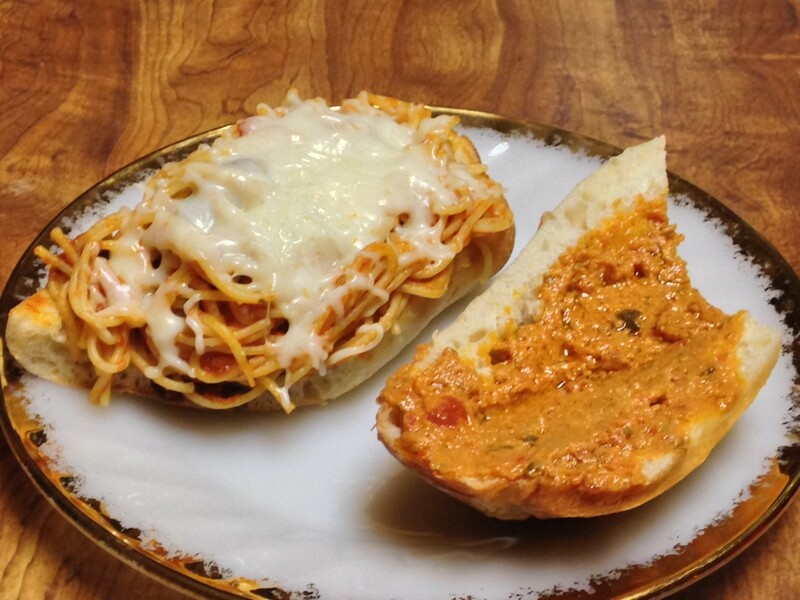 Spaghetti Sandwich: Scoop out excess bread from inside Italian loaf or baguette. Fill with pasta coated liberally with sauce. Top with Parmesan. My spaghetti was coated in Arrabbiatta sauce, and had sautéed spinach and mushrooms. I topped with Italian blend cheese, and coated the other side of the bread with sundried tomato pesto. 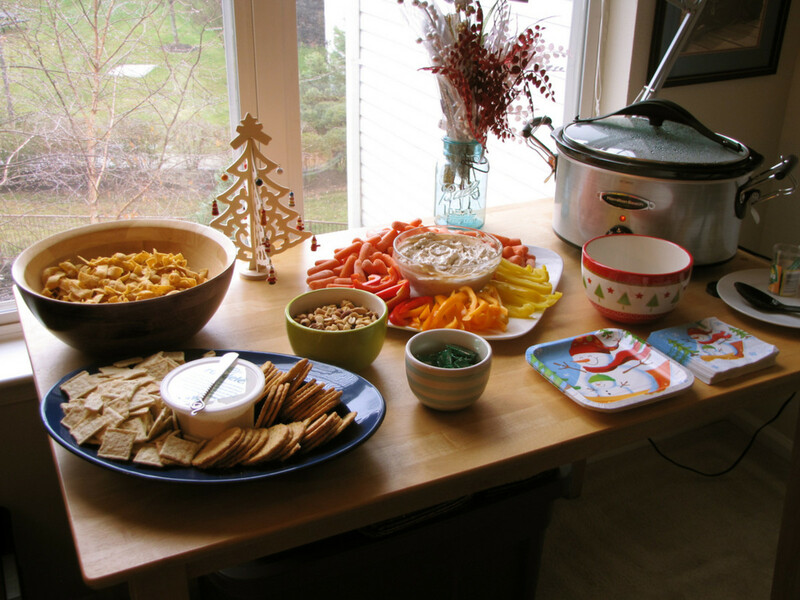 Cheese is one of the products produced from milk or milk based products. 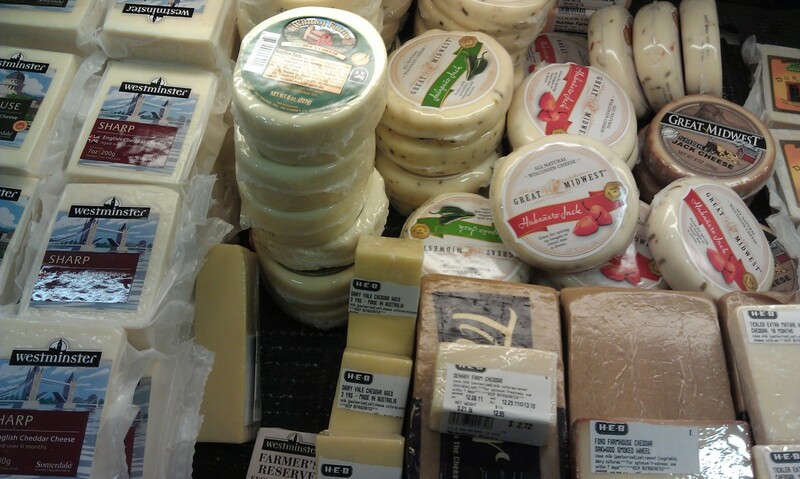 We can easily find various cheeses in the world wide with different flavors, textures, and forms. Banana Sandwich: Ah, life’s simple pleasures. 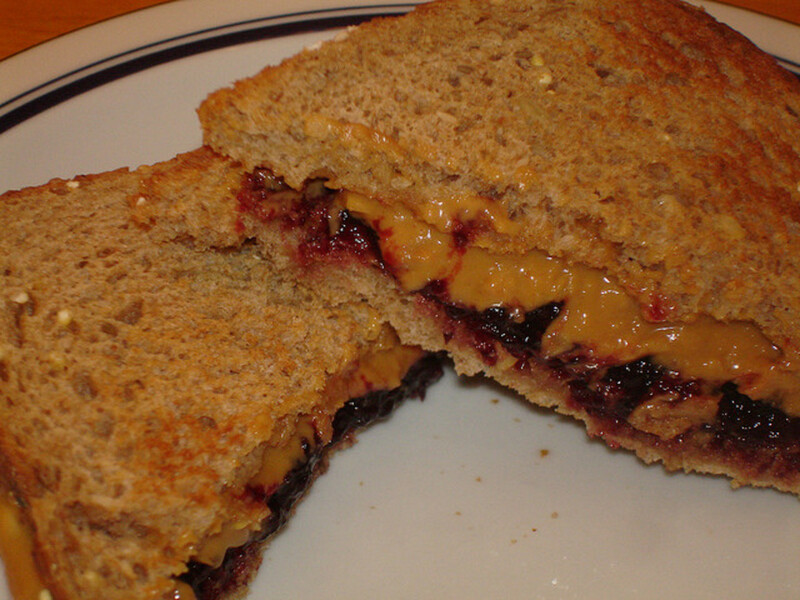 Liberally spread Dukes mayo on two slices of Brownberry Oat Nut bread. 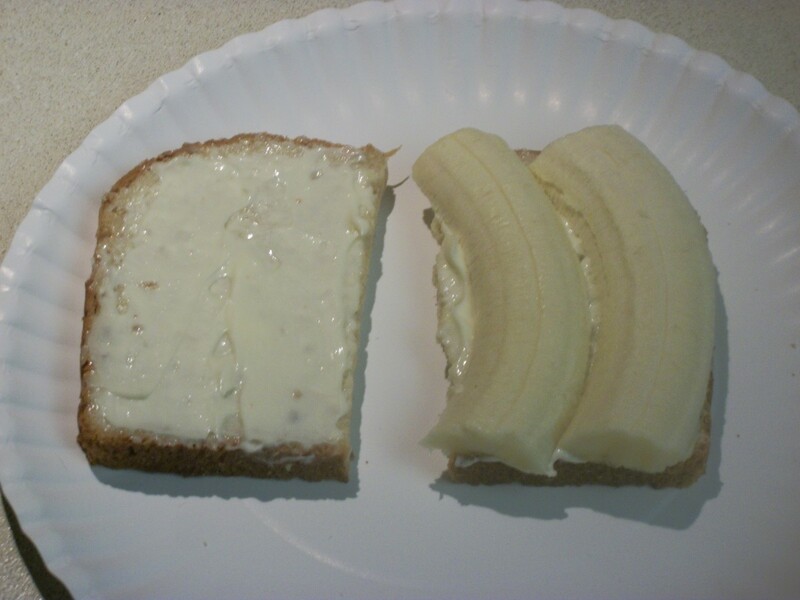 Cut banana the length of the bread, then cut lengthwise slices and place on bread. Yum. One of my new favorite things is a banana sandwich with cream cheese and pineapple spread on the bread. Peanut Butter and Jelly: Go for the classic with grape jelly and creamy peanut butter on white or wheat bread, or for something different, make your PBJ on French toast. Use a firmer bread, such as a multi-grain and seed bread, or an English muffin for crunchy peanut butter. Be adventurous and try apricot preserves, marmalade, or any favorite jelly or jam. 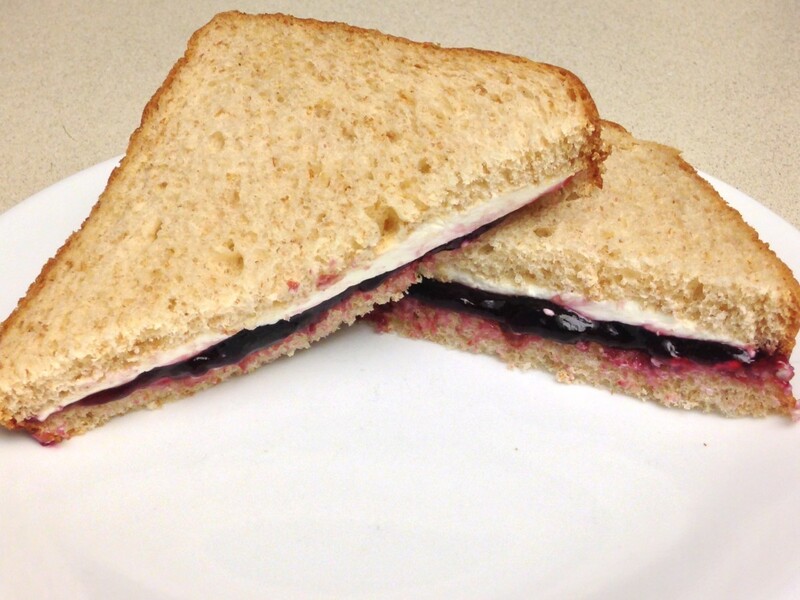 Cream Cheese and Jelly: Try a nice sandwich with grape jelly or strawberry jam with cream cheese. Of course any jelly or jam would work. 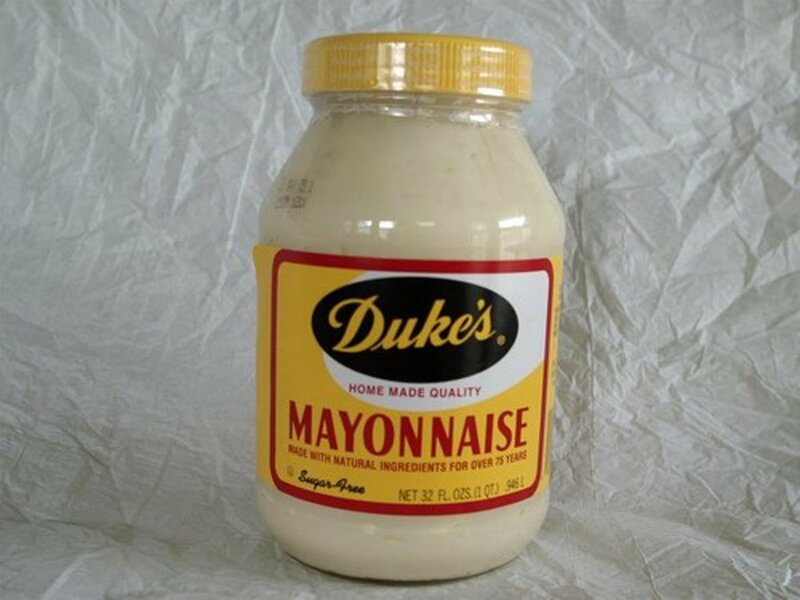 This would be good on an English muffin, or try it on raisin bread. Hunka Hunka Burning Love Banana Sandwich: Spread creamy peanut butter on two slices of bread. 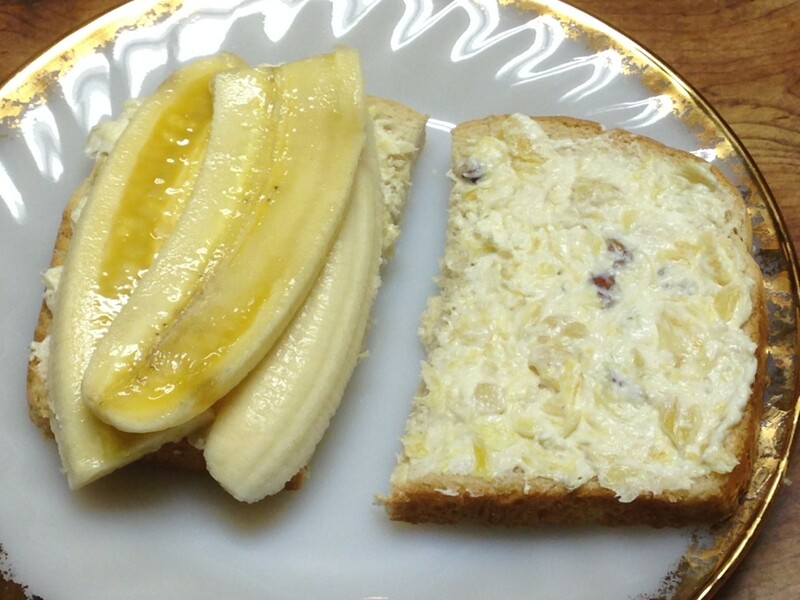 Cut bananas lengthwise and place on bread. Fry in butter. Eat with Elvis. Cinnamon Swirl Rollup: Flatten raisin bread gently with a glass or rolling pin. Spread a mixture of cottage cheese and cinnamon, and roll up. See also Panini for something sweet. Pineapple Cream Cheese: Soften cream cheese and blend in some well drained crushed pineapple, and finely chopped pecans. 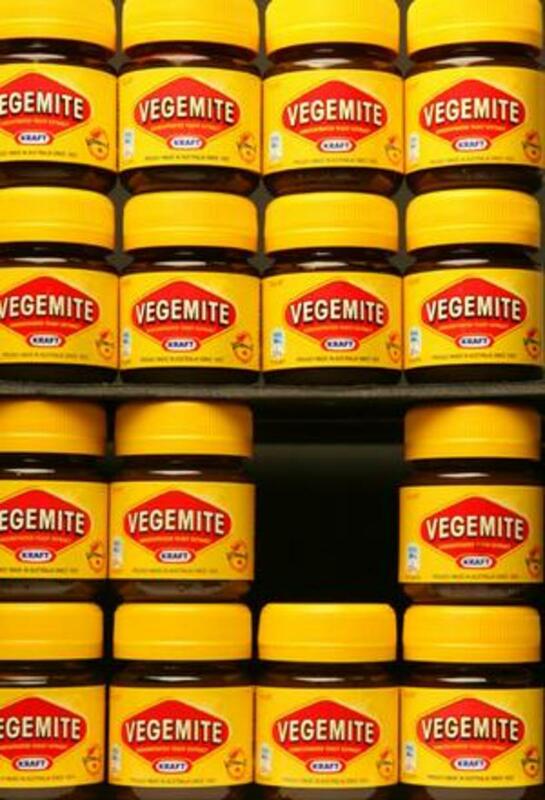 Spread on a soft honey croissant or panettone bread. Several companies, such as Duke’s and Ruth’s, make a spread with cream cheese, pineapple, and pecans. 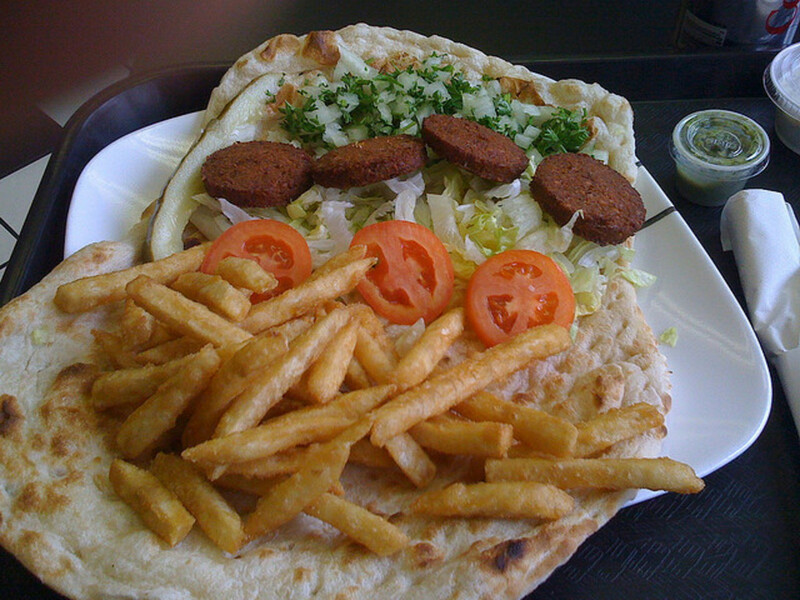 Falafel Wrap: Prepare falafel by processing chickpeas in food processor. Add finely minced garlic and onion, coriander, cumin, parsley and a couple tablespoons of flour. Form into patties and fry. Arrange 3 patties on wrap with lettuce, tomato, and dressing such as tzatziki. Green Bean Wrap: Sauté young whole tender green beans in soy and teriyaki. Place in wrap with fresh cut corn and red pepper strips. Mexican Wrap: Spoon raw fresh cut corn and black beans into soft flour tortilla. 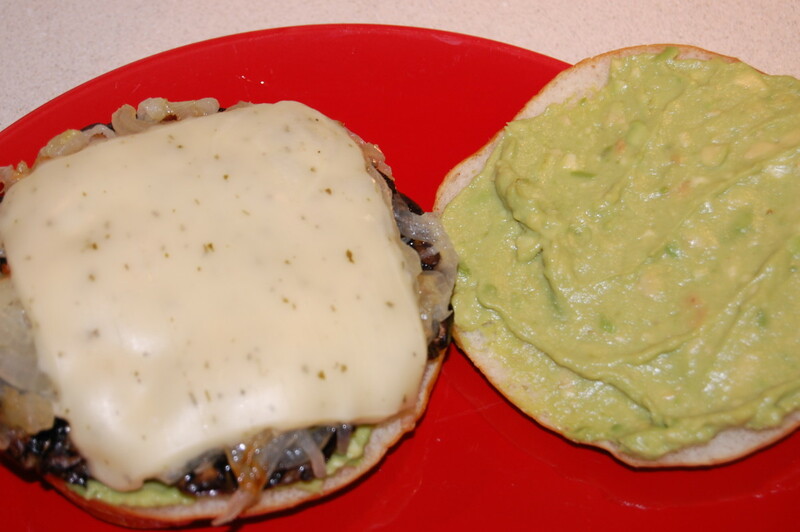 Top with avocado slices. Make your own fresh chunky pico de gallo by dicing fresh tomatoes and onions into fairly large dice, then add finely diced jalepeno to taste tolerance. Chili Relleno Wrap: Roast poblano peppers. Slit and insert white cheese like Monterrey Jack. Wrap in soft flour tortilla. 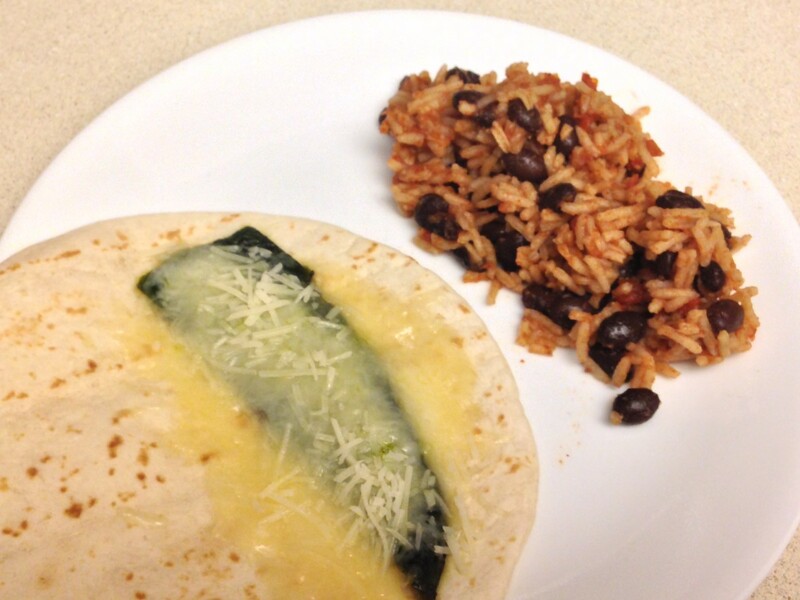 In my wrap above, I only used a quarter of a roasted poblano pepper. I'm a light weight when it comes to peppers. Turns out the poblanos are very mild, and I could have definitely done the entire pepper. Next time! 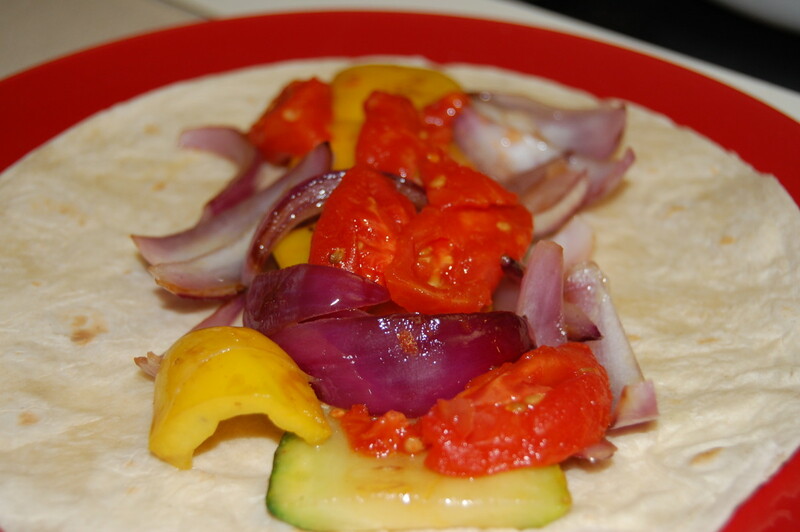 Grilled Vegetable Wrap: Add grilled red and yellow bell peppers, purple onion, zucchini, and tomatoes to a tortilla or wrap. I found a great variety of vegetarian Panini recipes at Food Network, as well as many that could easily be adapted into meatless sandwiches. 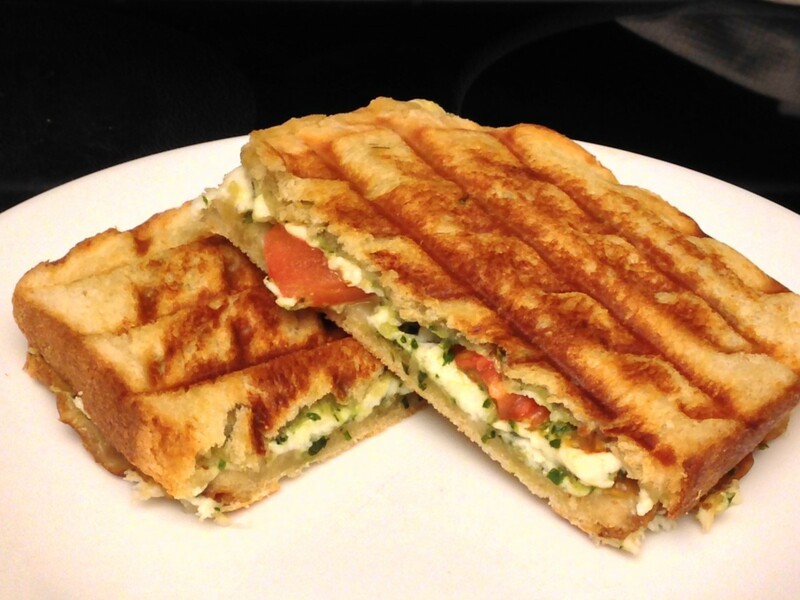 Panini sandwiches are typically brushed on the outside with butter or olive oil, and grilled on the Panini press. If you don’t have a Panini press, place sandwiches on a grill or in a skillet, and weigh down with small pans or baking dishes, and cans for additional weight. 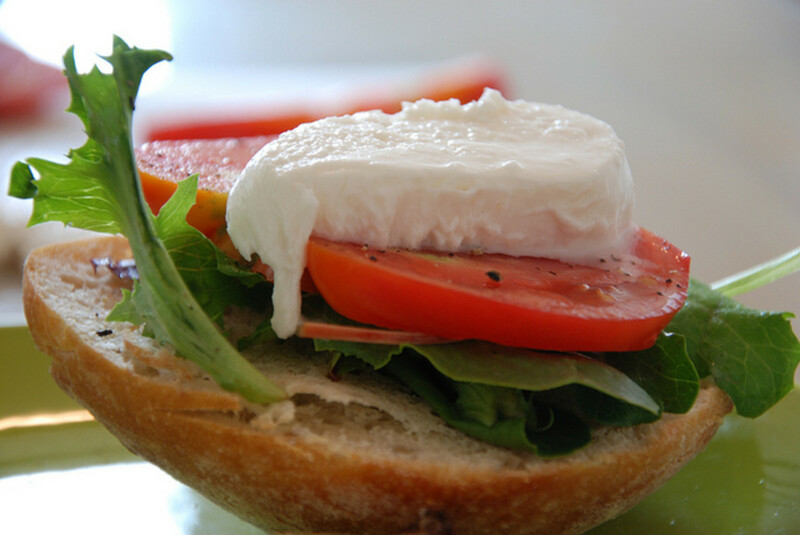 Mozzarella with Pesto or Olive Tapenade: Place slices of fresh mozzarella ball on thick cut sourdough bread. Spread other slice liberally with basil pesto or olive tapenade. Heat on sandwich press. Spaghetti Sauce & Taleggio Cheese: Spread your favorite thick pasta sauce on the bottom of a crusty bread. 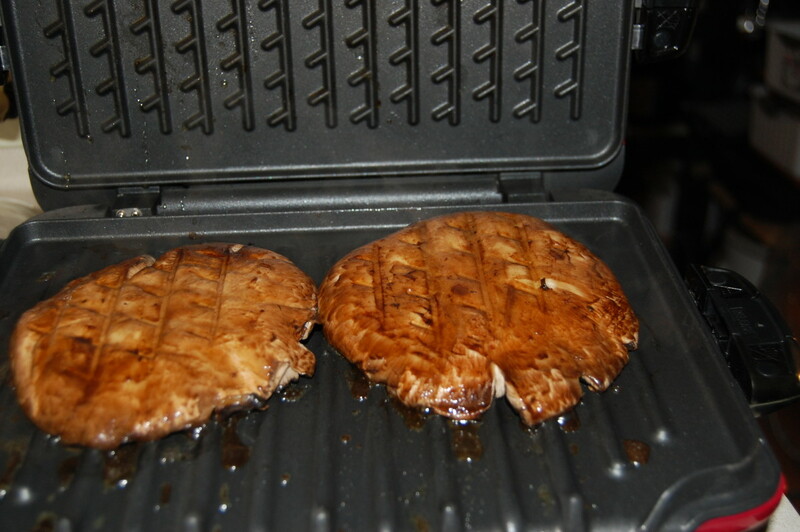 Top with taleggio cheese and place top, then grill on Panini press. 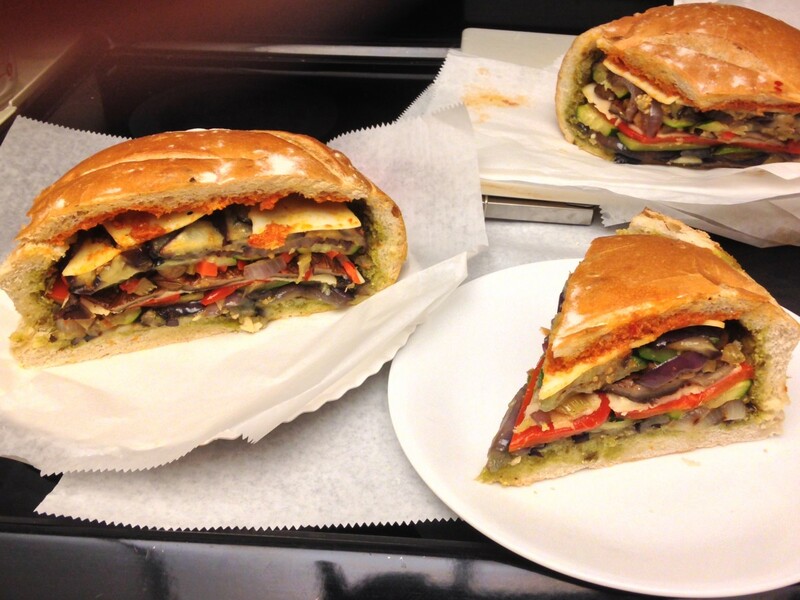 Grilled Vegetable Panini: Place grilled eggplant, zucchini, onion, and bell pepper on 6” length of French baguette. Top with vinaigrette and mozzarella cheese. 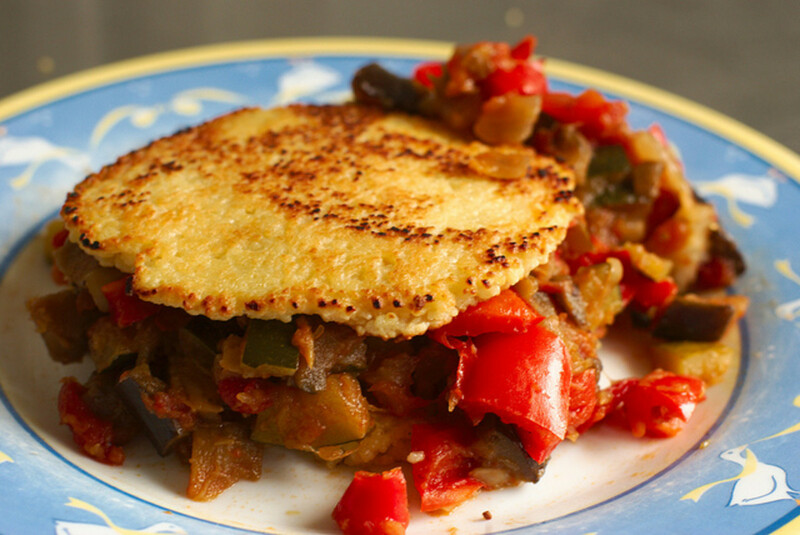 Caponata Panini: Prepare caponata with chopped eggplant, celery, red bell pepper, diced tomatoes, raisins, capers, red wine vinegar, oregano, sugar, salt and pepper. 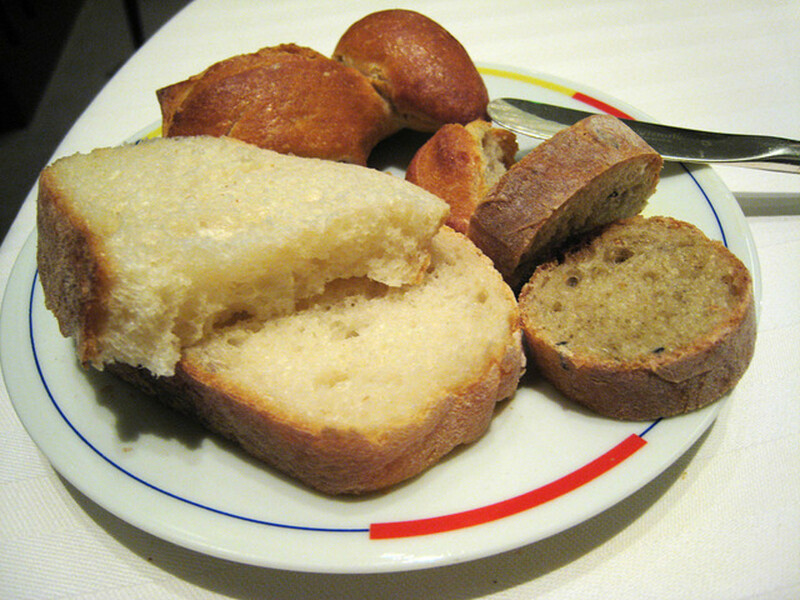 Cook until thickened, then spoon into baguettes with soft bread scooped out of center. 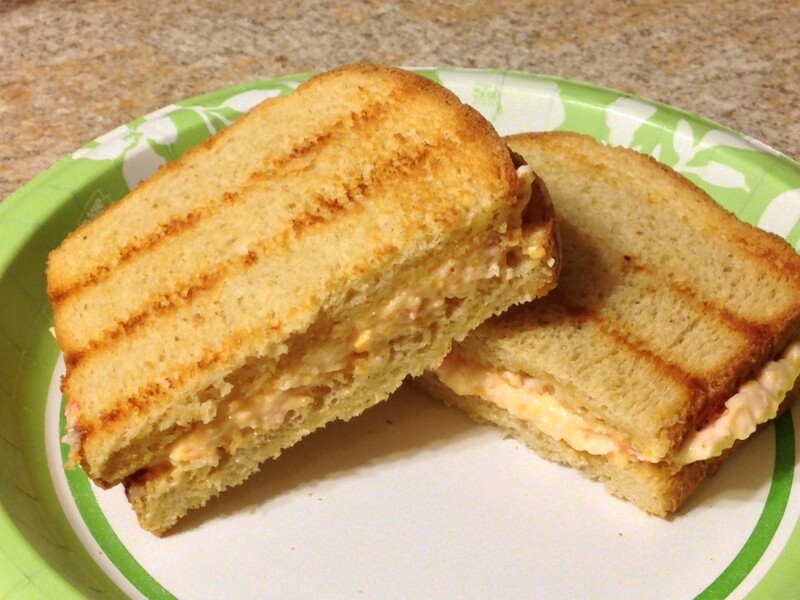 Top with provolone cheese and grill in Panini press. 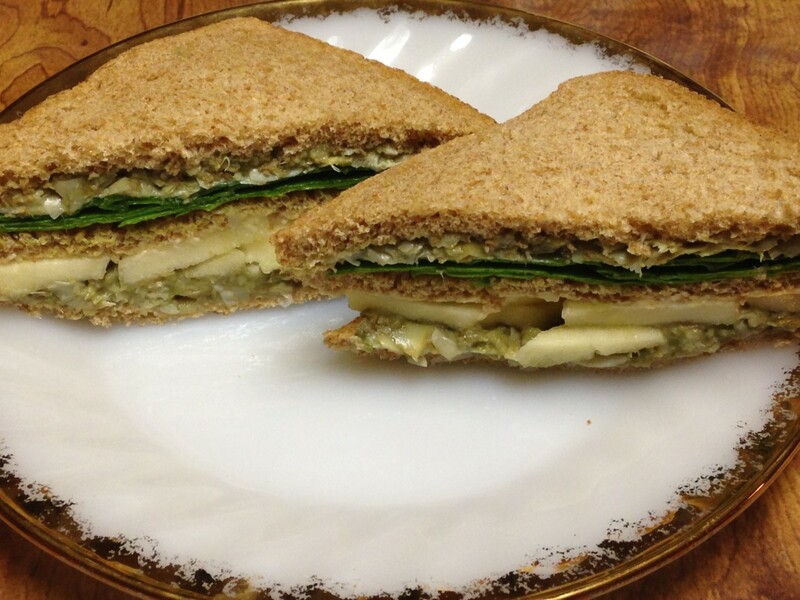 Gruyere & Apple: Peeled, cored and thin sliced Granny Smith apples, gruyere cheese, chopped fresh thyme leaves, and whole grain mustard on thick country white bread. More Panini inspired by Food Network stars. 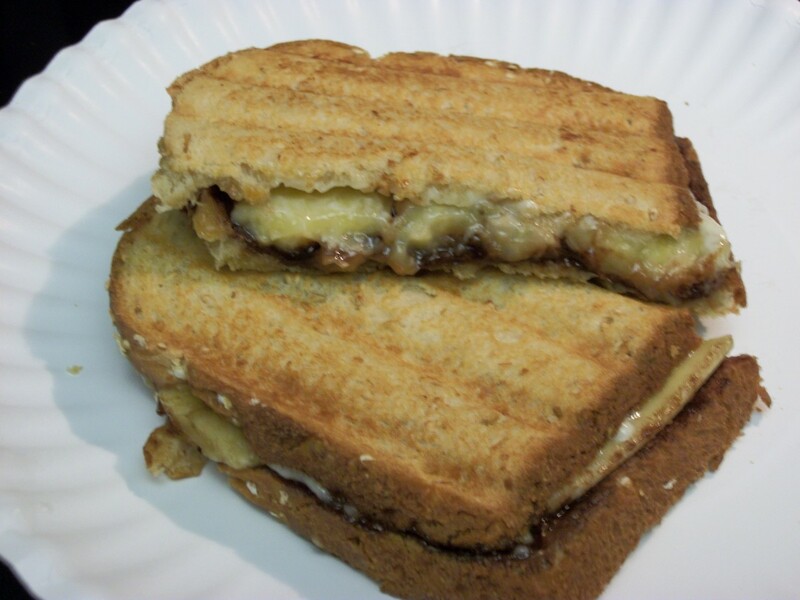 Banana & Nutella: For Bobby Flay’s version, mash ripe bananas and spread on bread bottoms. Spread Nutella chocolate hazelnut spread on the other side of the bread. Assemble sandwiches. Brush with butter and grill on press. Dust with powdered sugar. For Paula Deen’s version, slice bananas instead of mashing them. Spread white bread with thin layer of hazelnut spread. Top with banana slices and marshmallow halves. 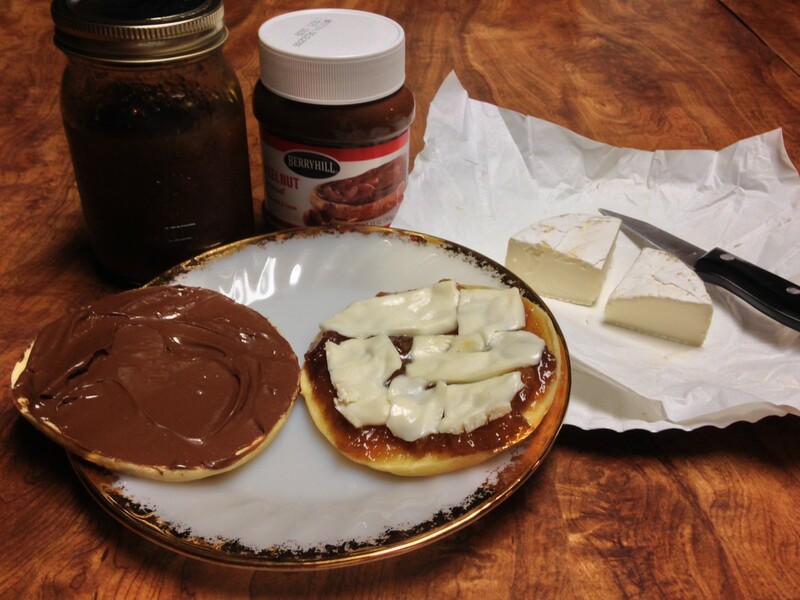 Brie & Chocolate: Use sour dough bread. Top with thin sliced brie cheese, semi-sweet chocolate chips, and thinly cut fresh basil leaves. Chocolate Walnut: Melt bitter chocolate pieces in walnut bread. Fig & Brie: Make a fig jam by simmering dried figs, water, sugar, and brandy or apple juice. Transfer to food processor and pulse with toasted hazelnuts. 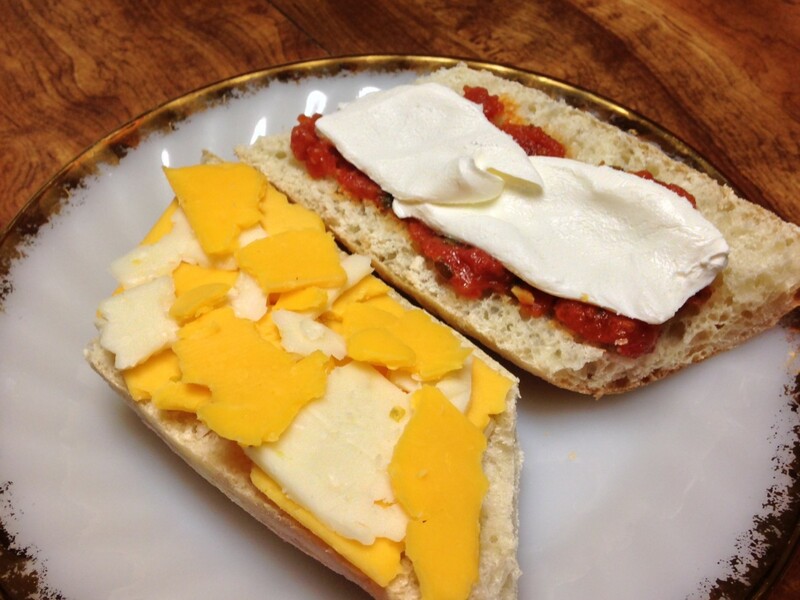 Spread on ciabatta roll and top with brie. 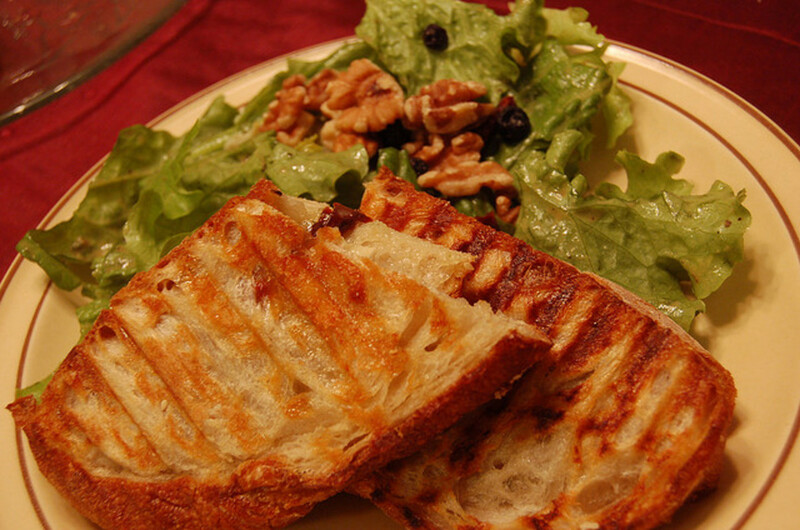 Taleggio & Fruit: Slices of fresh pear, apple, or peach drizzled with honey, with taleggio or brie on ciabatta bread. PBJ & Banana: Peanut butter, grape jelly, and banana slices. Chocolate Strawberry Sandwich: Nutella and thinly sliced strawberries on buttered pound cake. Banana French Toast by the Neelys: This one’s a little complex, but sounds worth it. In short, grill bananas and place in Texas Toast that has been prepared as for French toast, with egg, heavy cream, and a little orange juice. 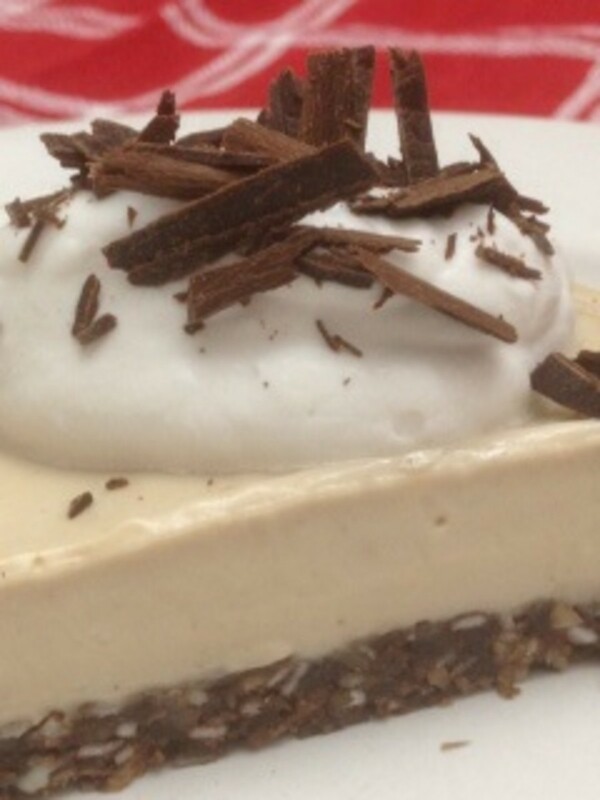 You can visit another of my articles for instructions on how to press tofu. I’m pretty fussy about food texture, and didn’t think I would like tofu, but I was pleasantly surprised. 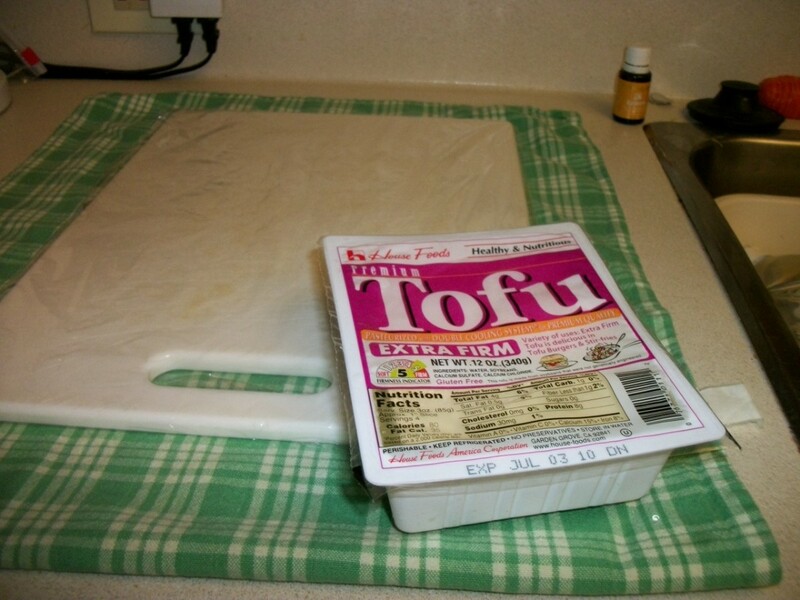 Many sources recommend pressing or freezing the tofu. The other thing most sources agree on is that tofu easily takes on flavors, so you can create endless flavors with different marinades. TLT: Tofu, Lettuce, & Tomato Sandwich. Marinate tofu in your favorite marinade. I think Lawry’s Balsamic Herb or Tuscan Sun-Dried Tomato with Minced Garlic & Olive Oil would be great choices. Drain and pan fry to sear. 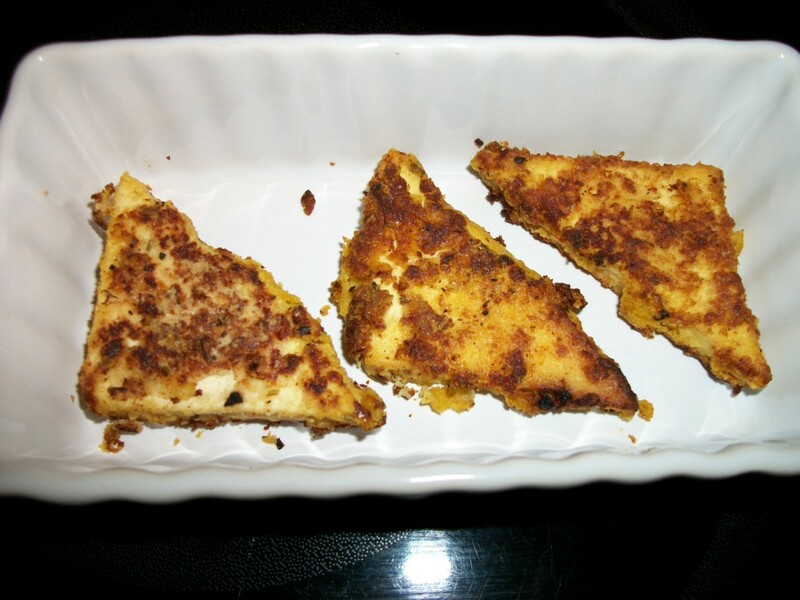 Alternatively, prepare Southern Fried Tofu, which is dusted with seasonings and nutritional yeast, and fried. Spread mayo on wheat bread and top with tofu, lettuce and sliced tomatoes. BBQ Tofu with Crispy Fried Onion Straws: Prepare Barbecued Tofu by marinating tofu in your favorite BBQ sauce, then cooking under the broiler. Top with blue cheese and thin slices of onion, lightly battered and fried crispy. Serve on a bun, such as an onion roll or Kaiser roll. 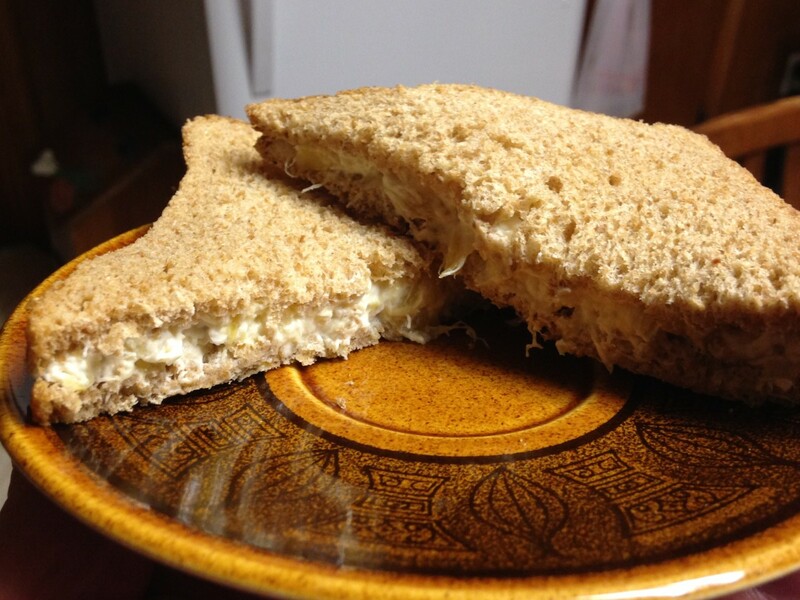 “Fish” sandwich: Make a fried “fish” sandwich with tofu. Cut tofu into slices. Brush with soy sauce. Cut nori sheets to size, and adhere to each side of the tofu. Dip in tempura batter and deep fry. Serve with tarter sauce on a bun. Tofu Frito Sandwich: Marinate tofu slice in salsa. Drain and pan fry to sear. Place on soft hoagie roll. Top with queso fresco, crushed Chili Cheese Fritos, and a little fresh salsa. Monte Cristo sandwich: Marinate thin slices of tofu in Worcestershire sauce. Drain. Place Swiss cheese on two pieces of thin white bread. Top one side with tofu. Put sandwich together. Dip in beaten egg as you would for French toast and pan fry on each side. Alternatively, dip sandwich in tempura batter and fry in deep oil. 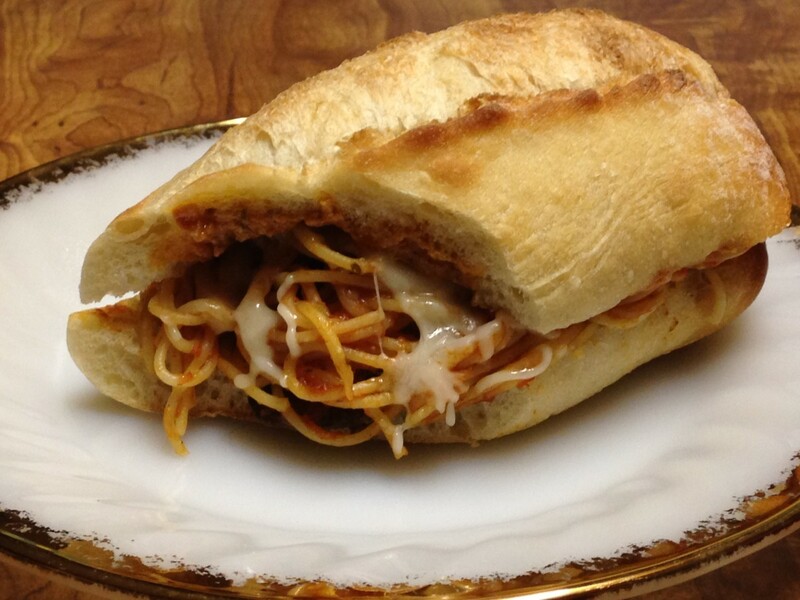 Italian sandwich: Marinate tofu slice in your favorite spaghetti sauce. 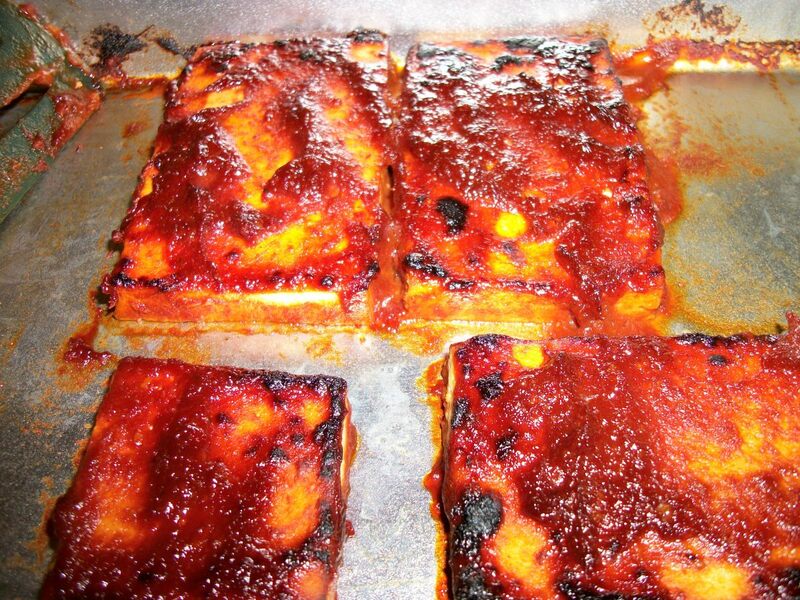 Bake tofu in sauce. Spread pesto on each side of ciabiatta bread. Place tofu on bread. Top with provolone cheese. What Do You Think About Veggie Sandwiches? 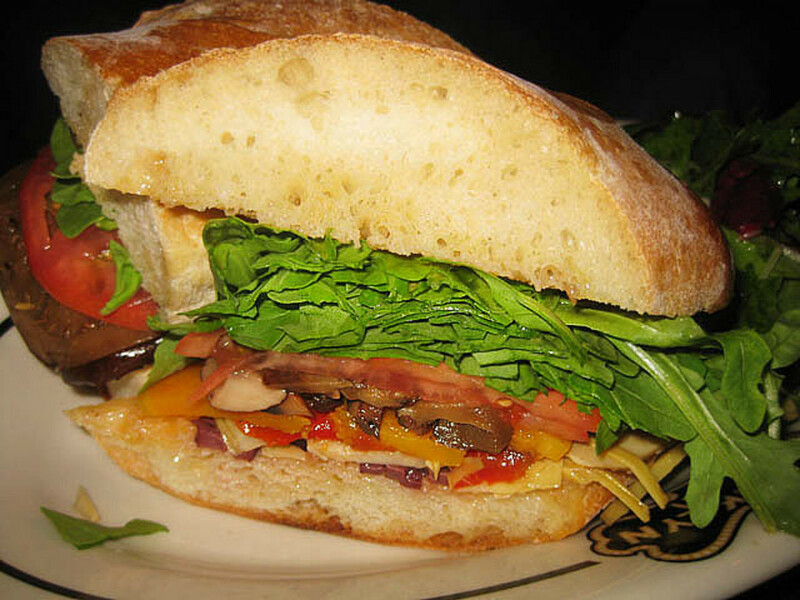 What's your favorite veggie sandwich? Here are some instructions and tips for ingredients or methods you will see referenced in some of the sandwiches. Balsamic Reduction: Heat a half cup of balsamic vinegar in a small pan until the volume is reduced to half or less. Pesto: Process ¼ cup almonds or cashews in food processor until fine chopped. Add 1 cup fresh basil leaves, ¼ cup Parmesan cheese, 1 clove garlic, and ¼ cup olive oil. Process until smooth. Add more oil if need for spreadable consistency. Tzatziki or Cacik Cucumber Spread: Grate 1 baby cucumbers or ½ regular peeled and seeded cucumber. Drain and squeeze dry between layers of paper towel. Mix into one pint of Greek yogurt, along with 2 minced garlic cloves, 1 teaspoon dried mint leaves, and salt to taste. Olive Tapenade: Olive tapenade typically incorporates anchovies, which a good reason for making your own. In a food processor, a clove of garlic and a tablespoon of fresh thyme leaves. Add 1 cup pitted kalamata olives and ¼ cup olive oil, and pulse to a smooth paste. Thicken if necessary with more olives. If it is too thick, thin by adding more olive oil. Some tapenades also include capers. Hummus: Pulse chickpeas in food processor to break up. Add garlic cloves, lemon juice, and tahini. Process until smooth. 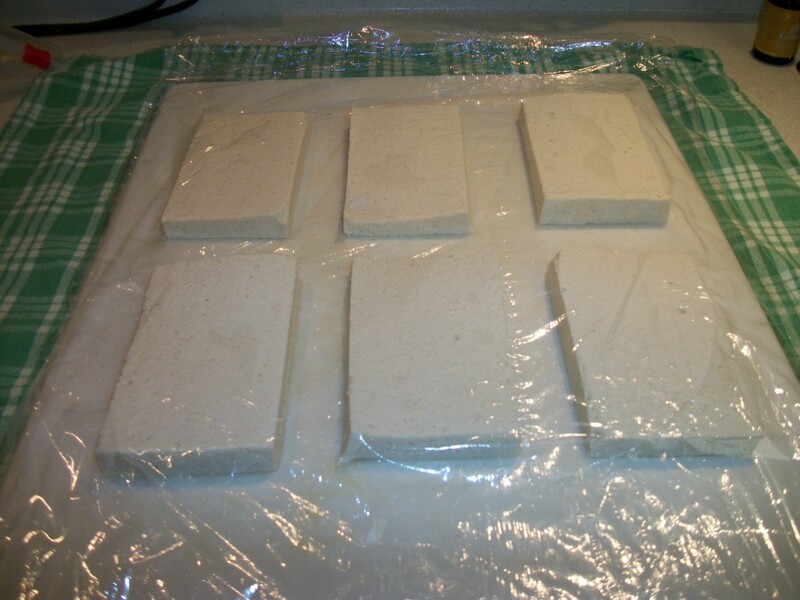 Pressing and Preparing Tofu: Slice tofu into slabs about ½” or slightly less thick. 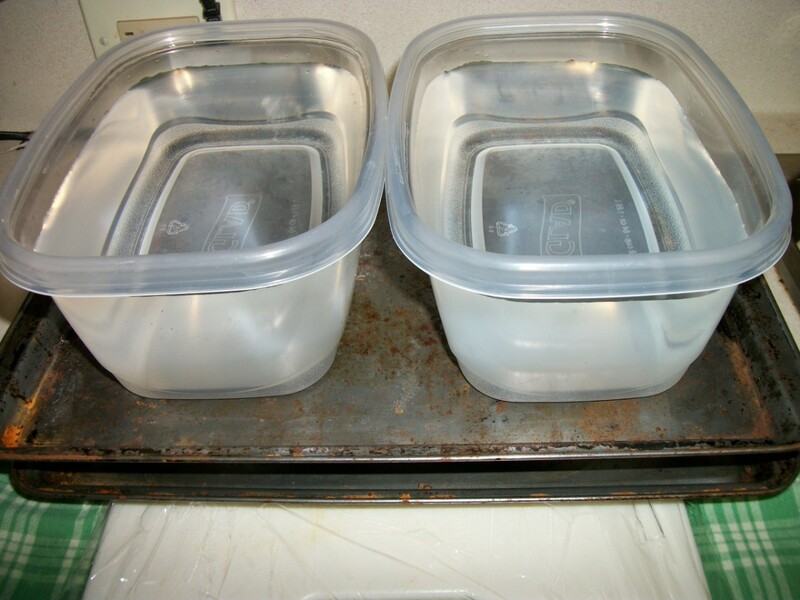 Place waxed paper or plastic wrap on counter or large cutting board. Place tofu slices. Cover with waxed paper or plastic wrap. 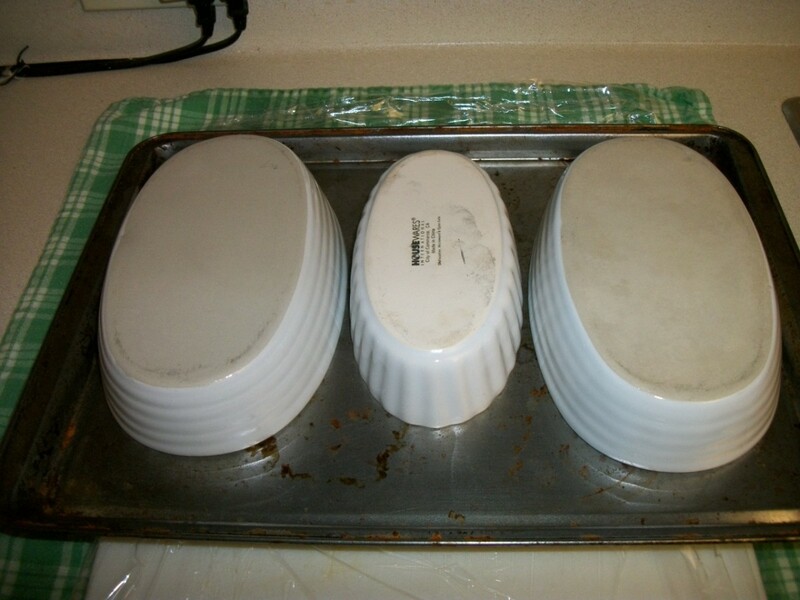 Place cookie sheet or large baking pan on top. Add additional weight. 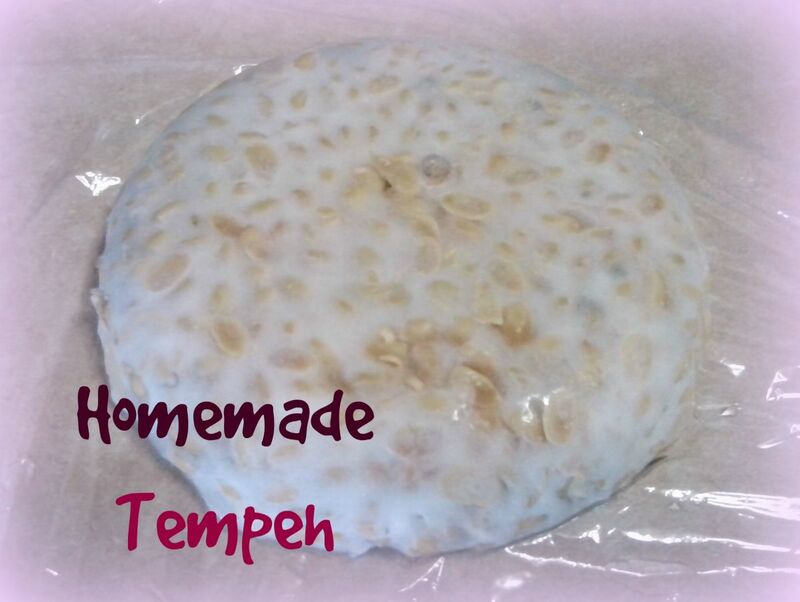 For step by step pictures you can visit my hub, How to Cook Tofu. Grilling Vegetables: Cut eggplant, zucchini, and yellow squash on the diagonal. Cut onions in ¼” rounds. Remove seeds from bell peppers and cut in wedges or length-wise strips. Brush with olive oil and grill to sear with grill marks, but vegetables should retain firm texture. Create your own inspiration list of veggie sandwiches. Feel free to modify and personalize this list. Use it for ideas, and for your shopping list. All amazing ideas! Thanks for these! Melissa, great tip on the Zucchini Parm. I find zucchini much easier to cook to the desired done-ness than eggplant. Thank you for sharing! I have tried quite a few of these, now I have some new ideas to try! You might like to try avocado, vegannaise, and alpha sprout sandwiches, and for another version of the Elvis, we sprinkle local honey on top. For the Eggplant Parmesan, we sometimes substitute with zucchini, delicious! Great Hub! I missed this one when you published. What a fantastic collection of ideas for veggie sandwiches. 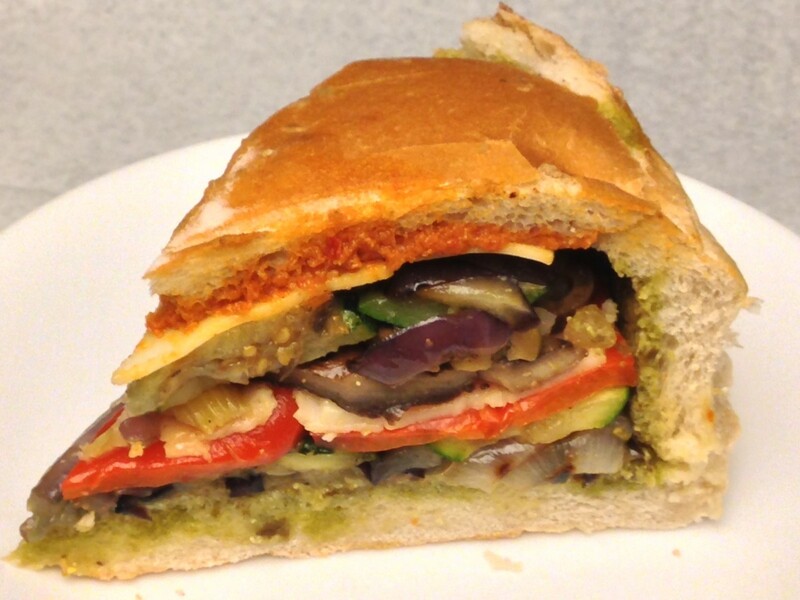 The Mediterranean Eggplant Sandwich is particularly appealing, because I'm a hummus lover. I echo others' comments here about the categories, and also think a book might be in the works, especially as you said this was a labor of love. Up, awesome, useful, and all those other votes. :) I'd buy your book in a heartbeat. Thank you so much for this hub! Since going vegetarian over a year ago I've really missed sandwiches and couldn't think of any really good combinations for a veggie version. THANK YOU!!! I'm going to try one of these for lunch. Oh they look soooo yummy!